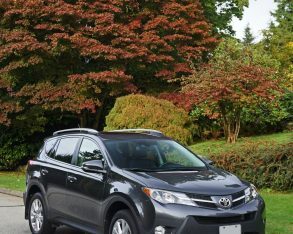 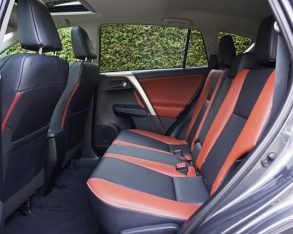 came to market early last year as a 2013 model, this 2015 RAV4 is carryover from the 2014 iteration other than new wheels and the deletion of one colour and the addition of another, Shoreline Blue Pearl for Hot Lava, and that 2014 model was a carryover from the year before. 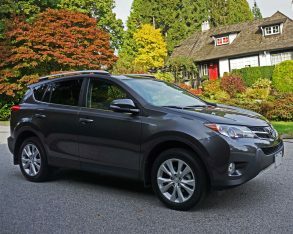 This, however, will hardly matter to the thousands of Canadian compact crossover buyers who will choose to ride the RAV wave this coming year, as it’s a very good CUV that deserves every bit of the success it enjoys. 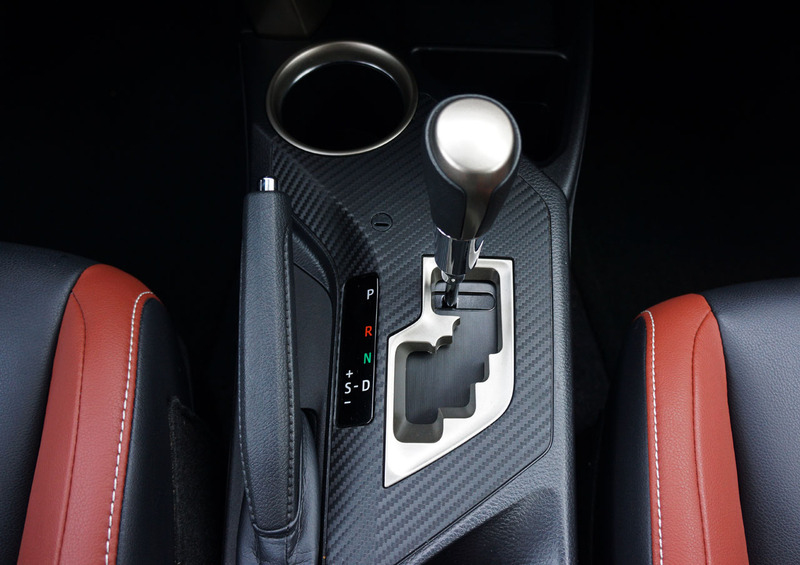 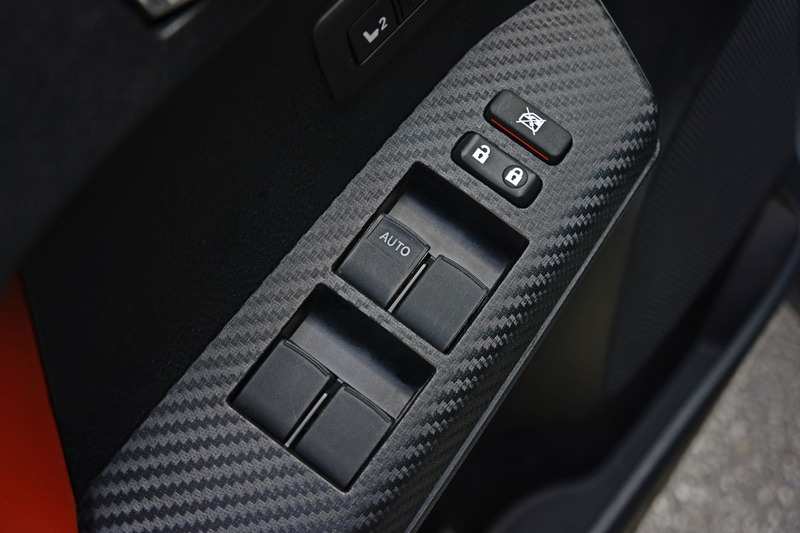 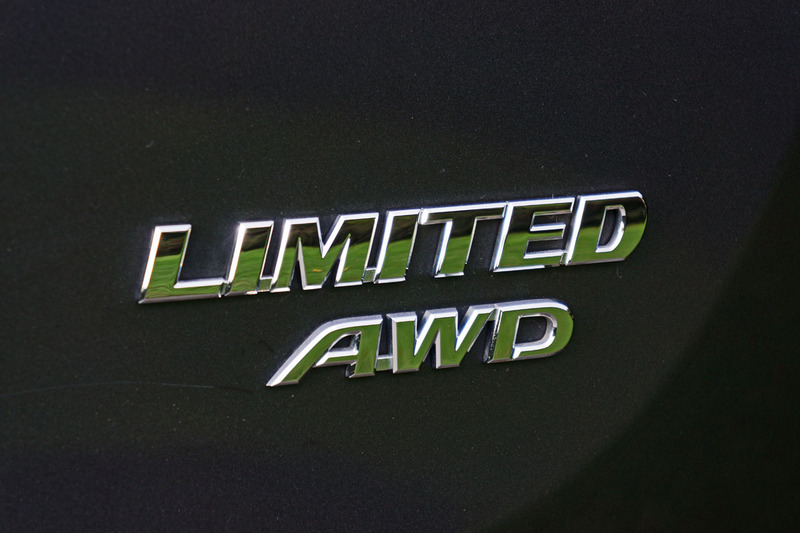 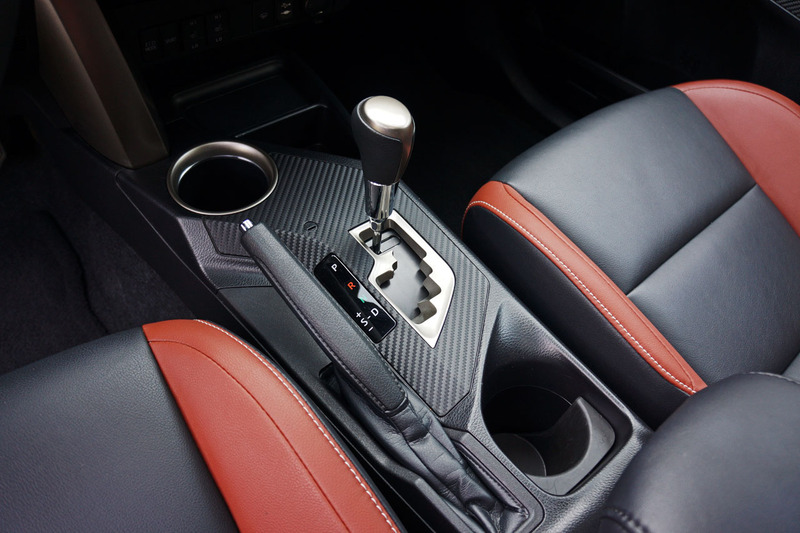 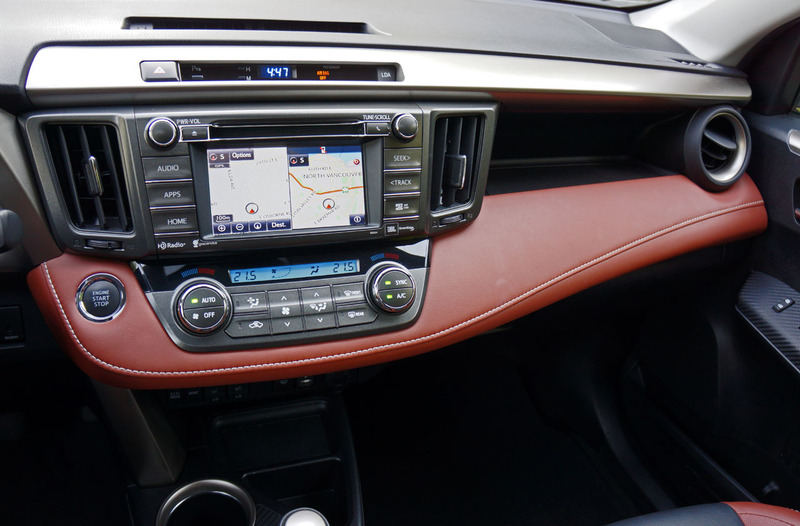 impressed me once again in the 2014 AWD LE I drove just a year later, except that the interior finishings weren’t quite as upscale in the just-over-base model. 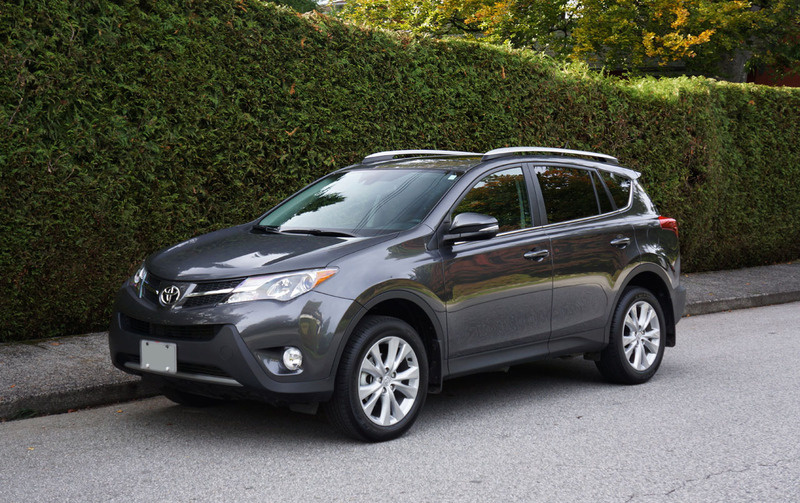 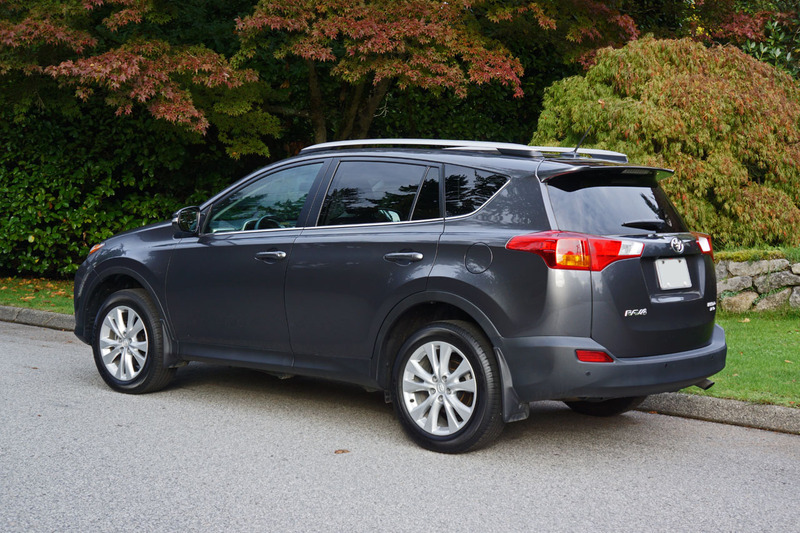 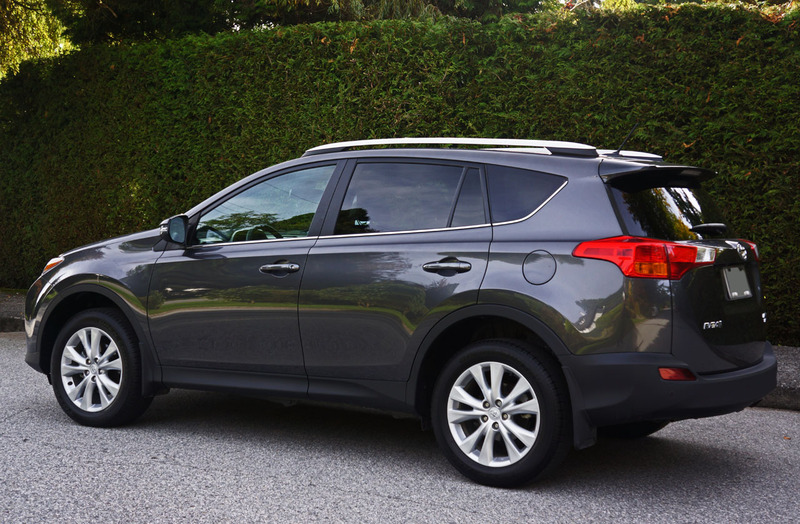 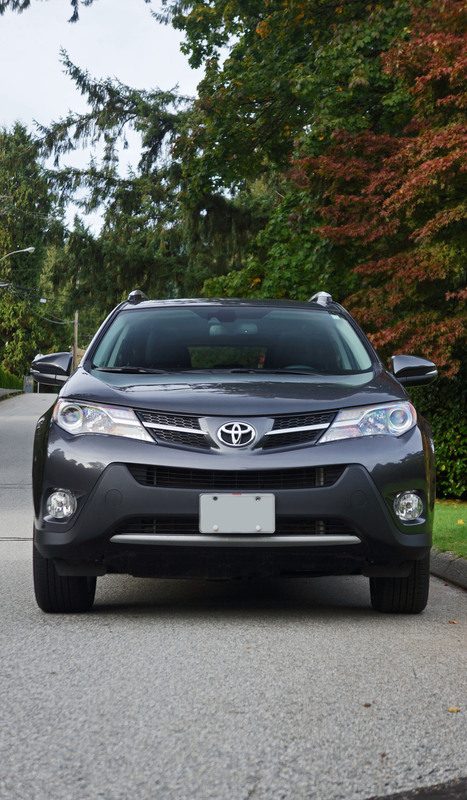 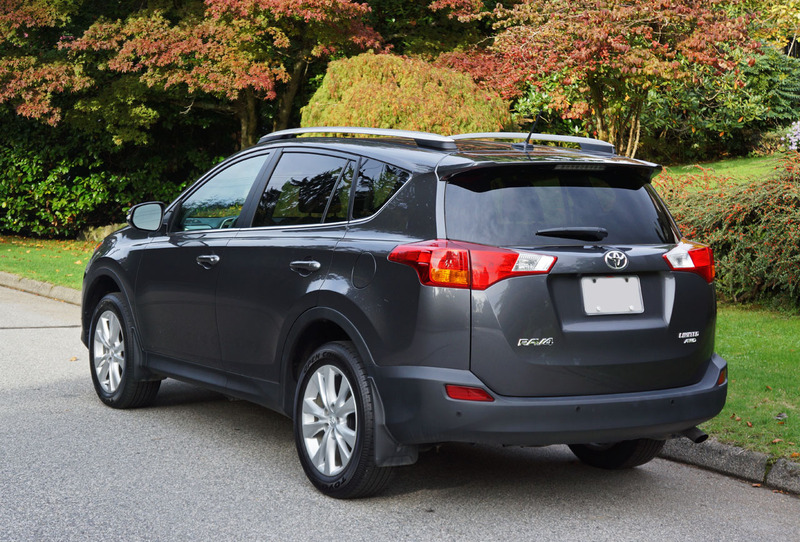 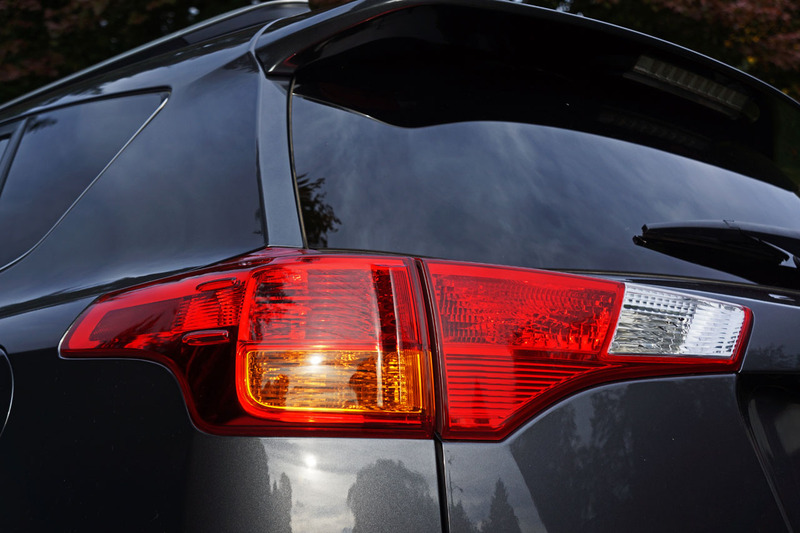 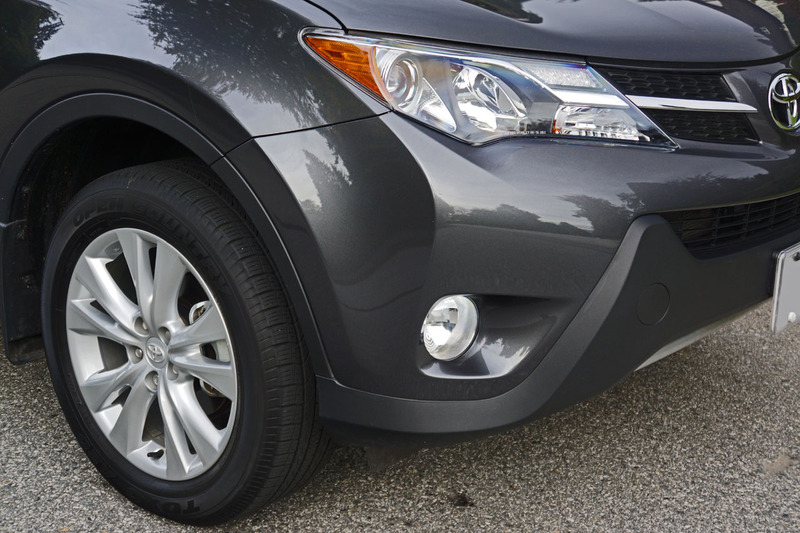 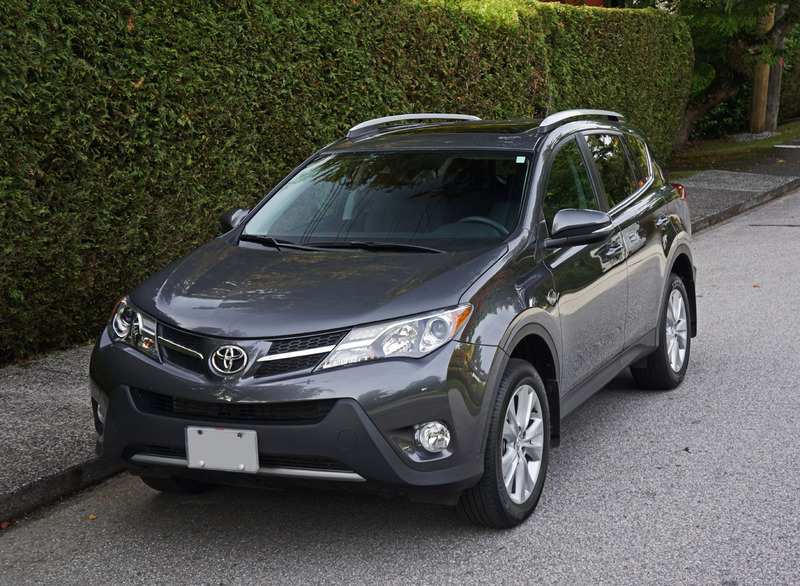 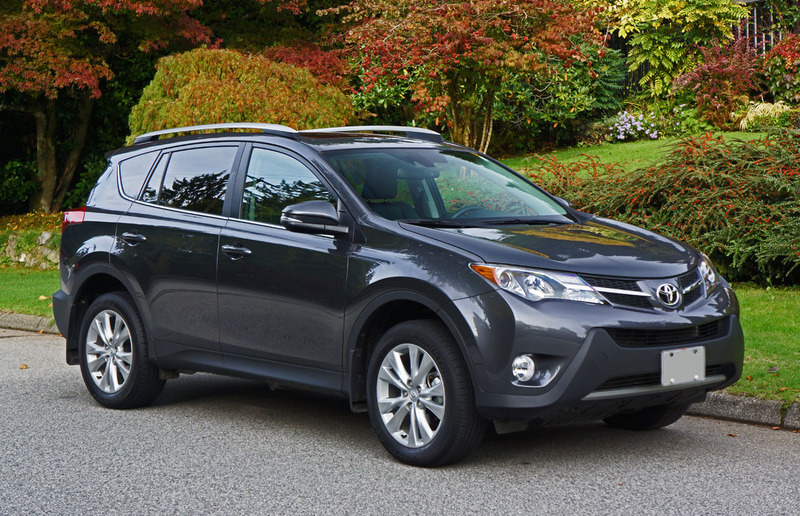 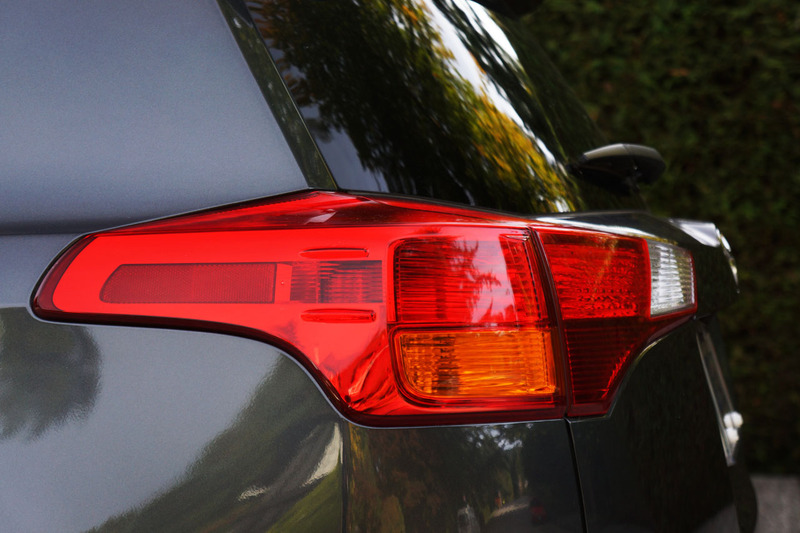 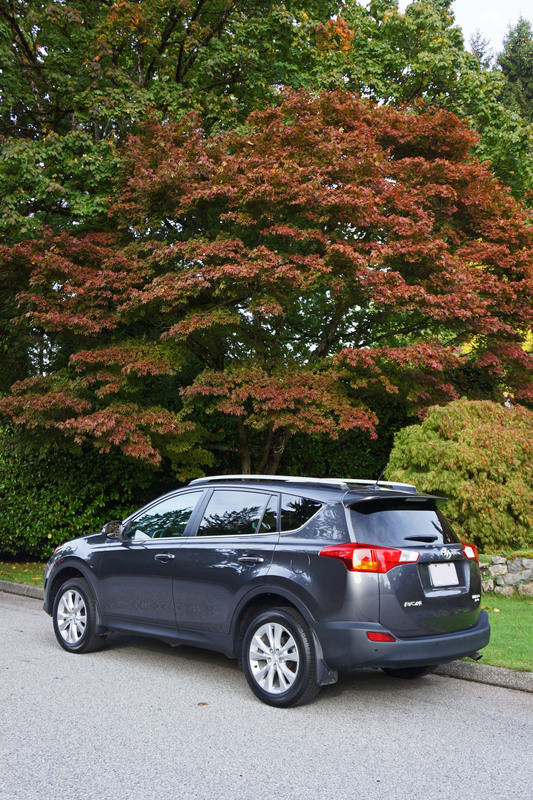 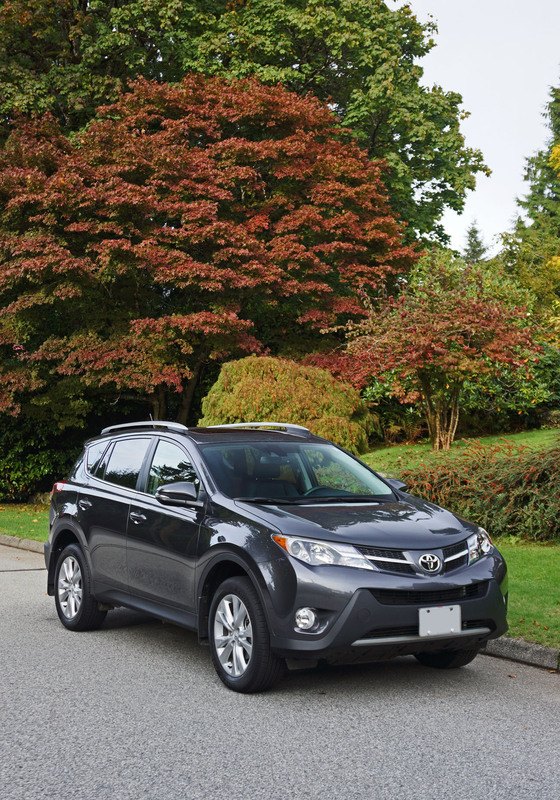 I have no such issues with this 2015 RAV4 AWD Limited, however, as it raises the bar in every respect. 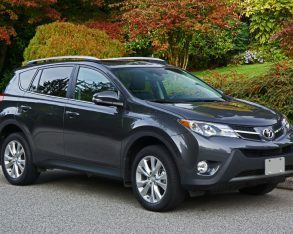 treatment of the $28,340 XLE, however, let alone the $33,350 needed for the Limited. 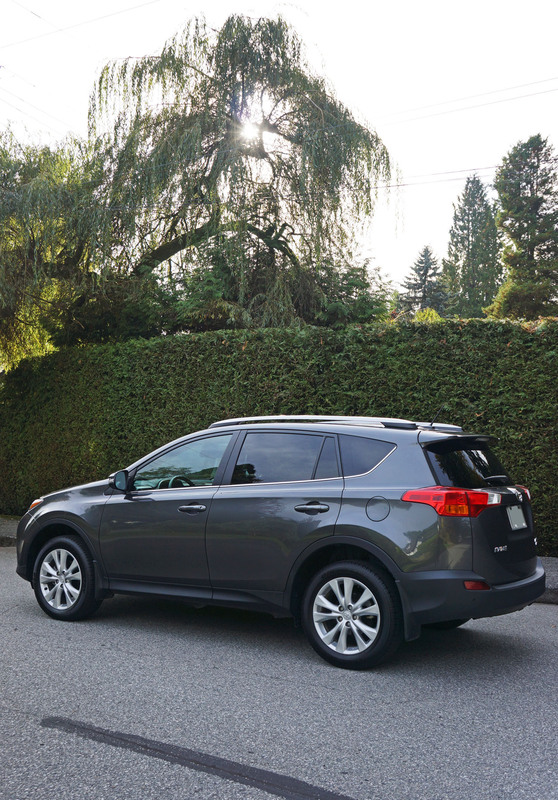 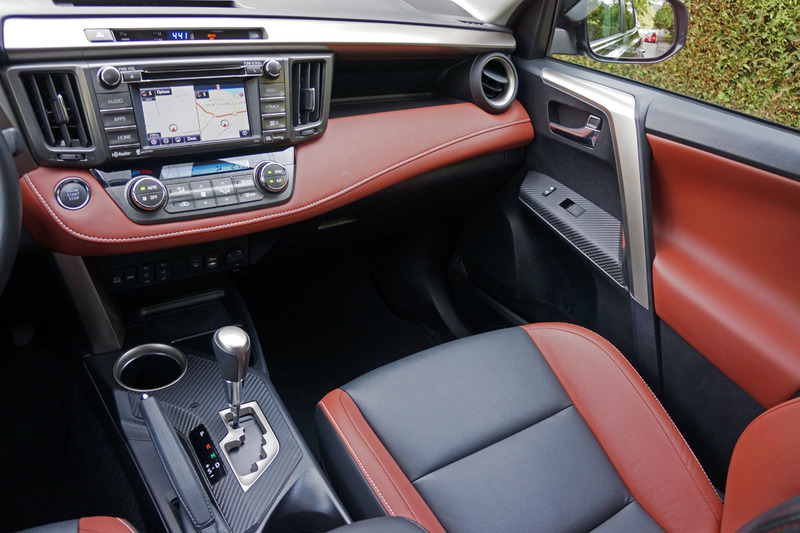 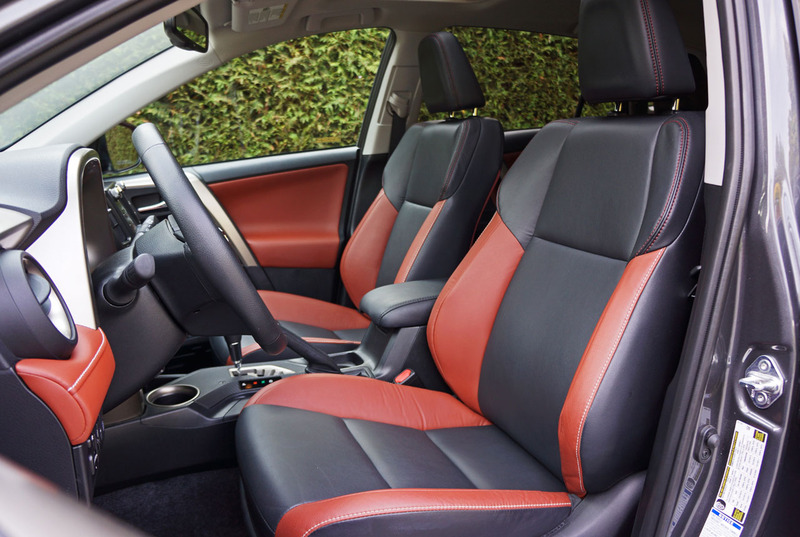 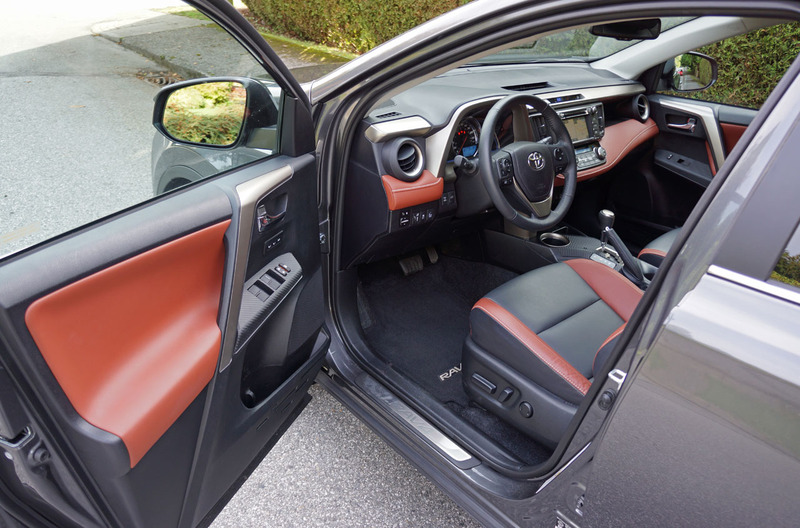 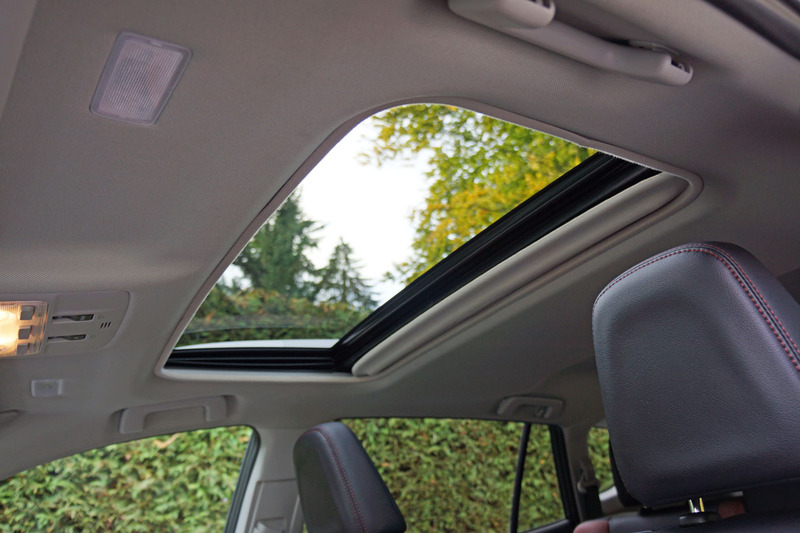 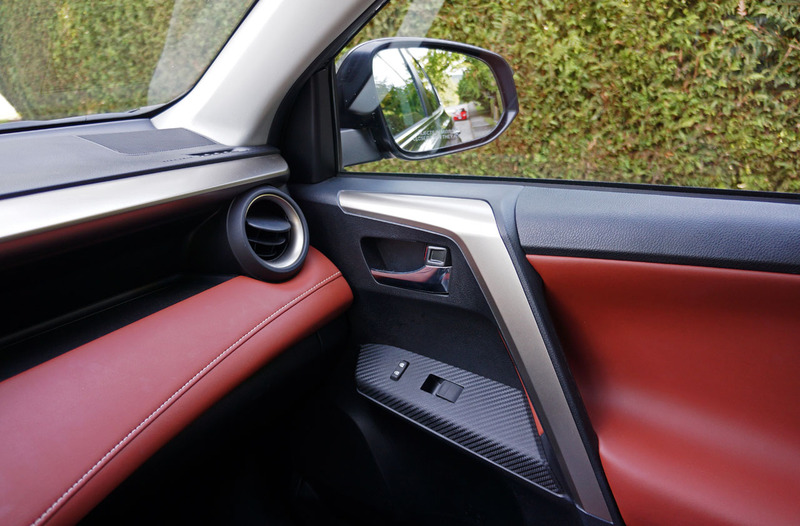 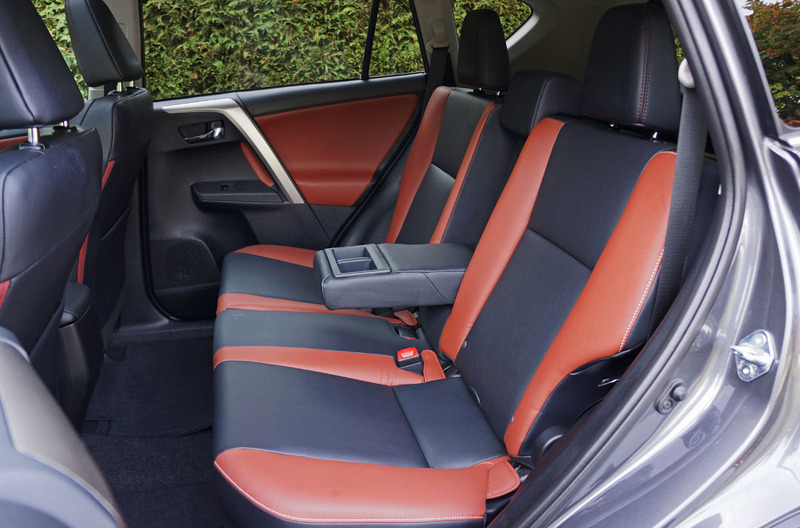 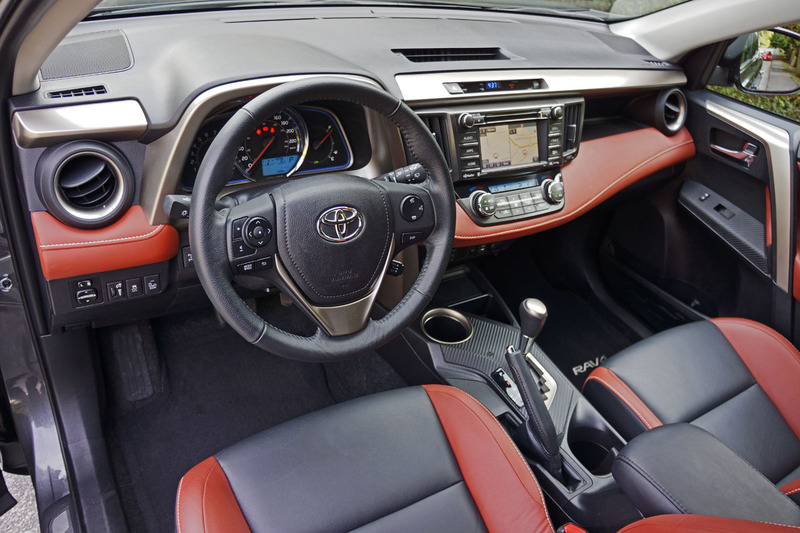 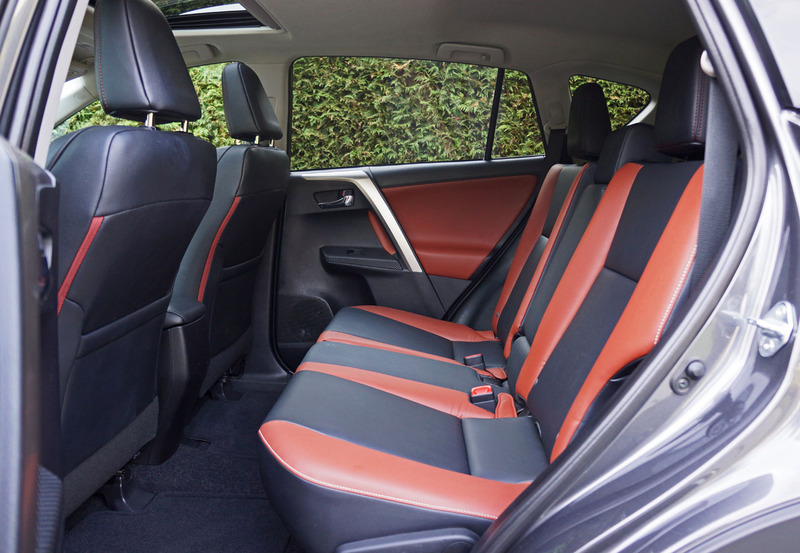 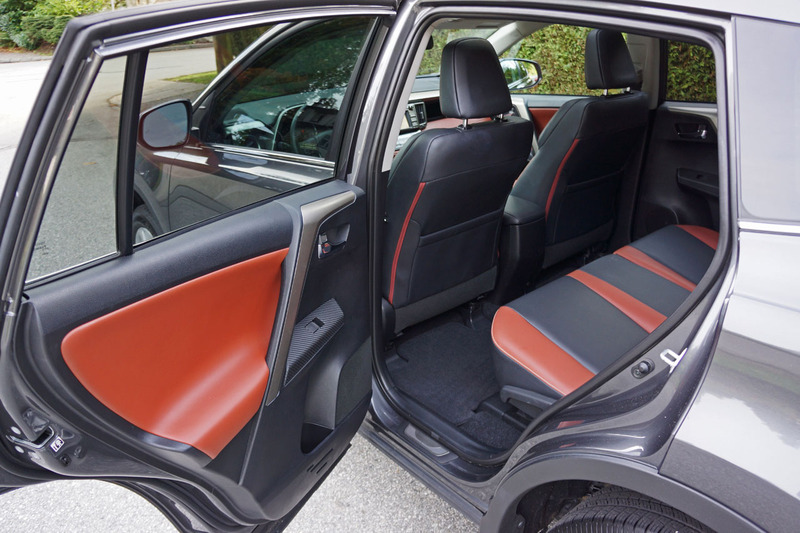 Settle yourself inside the 2015 RAV4 AWD Limited and you’ll feel as if you’ve transcended into the $40k-plus crowd of luxury shoppers. 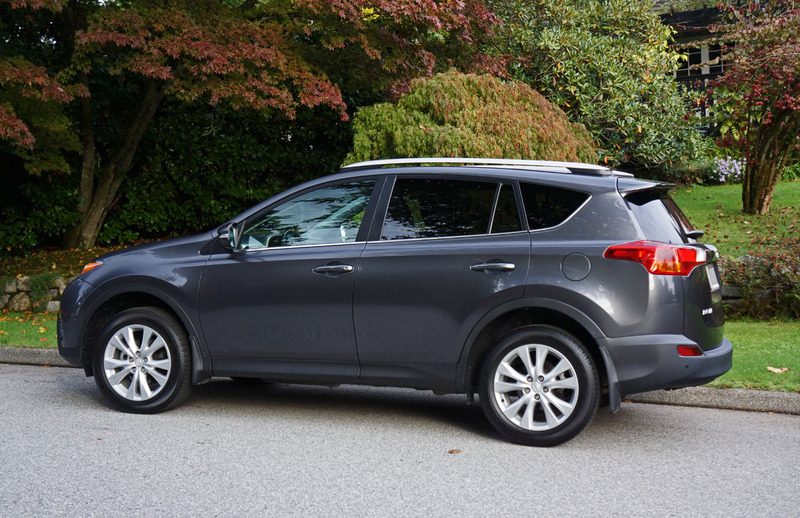 My tester, finished in a conservative yet classy coat of Magnetic Grey Metallic paint, positively glistened inside with a two-tone black and Terra Cotta SofTex (Toyota-speak for leatherette) upgrade replacing this model’s standard all-black Softex. 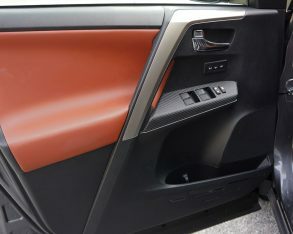 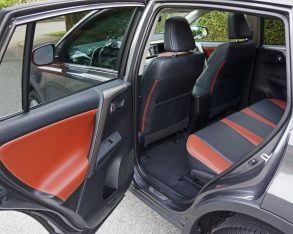 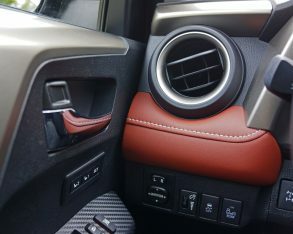 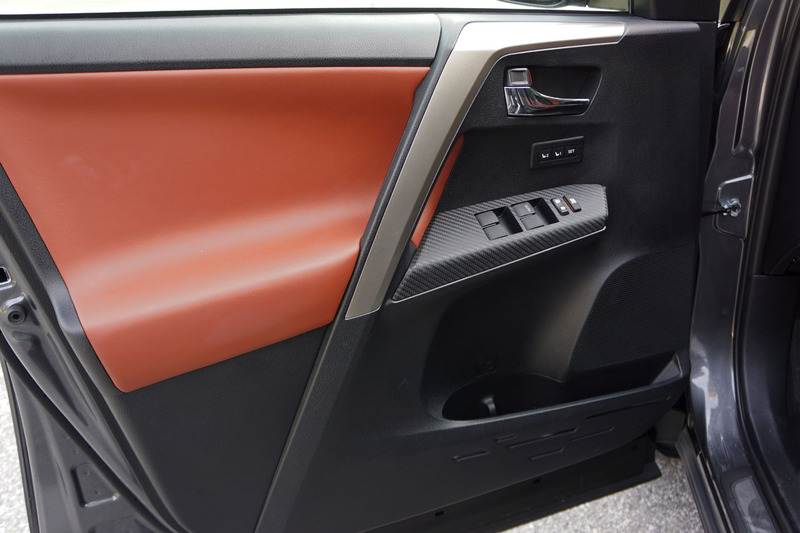 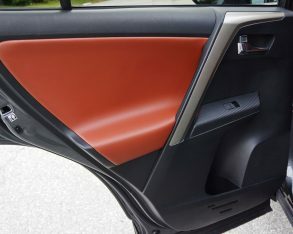 The caramel-coloured no-cost addition garnished the aforementioned instrument panel extension, seat bolsters front and back, and each door panel. 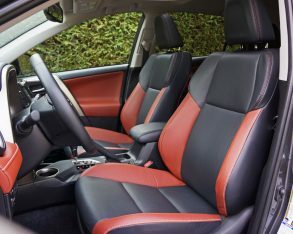 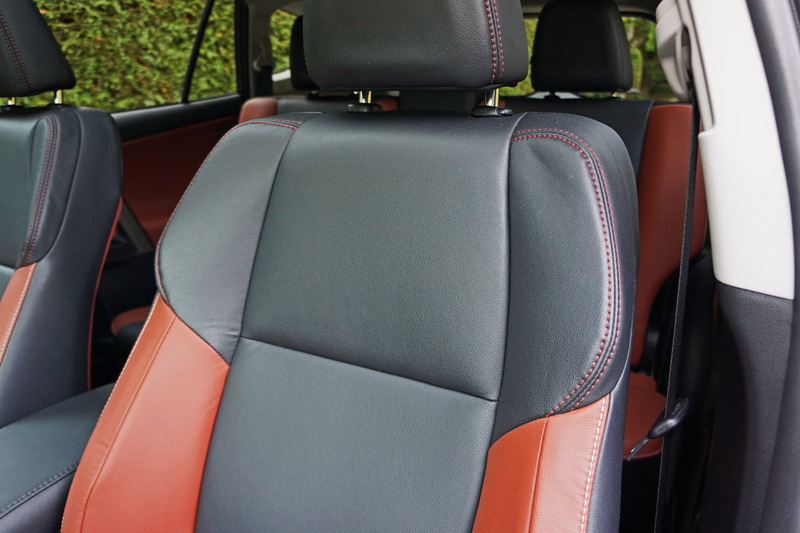 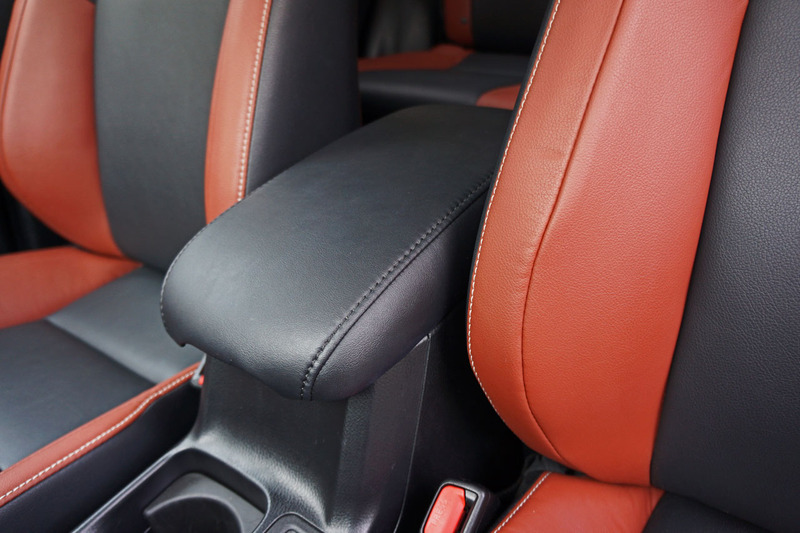 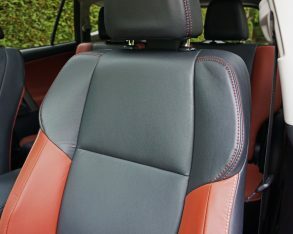 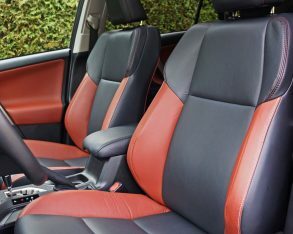 The theme is complemented by terracotta coloured stitching on all black leatherette surfaces, while all terracotta pleather surfaces receive cream-coloured stitching. 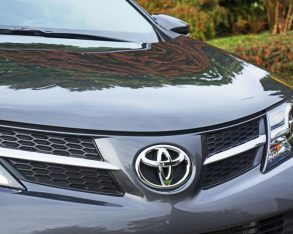 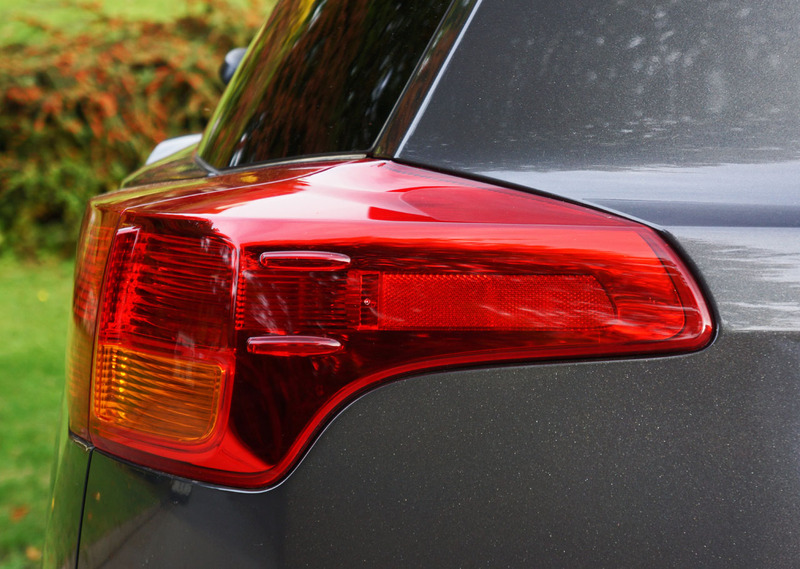 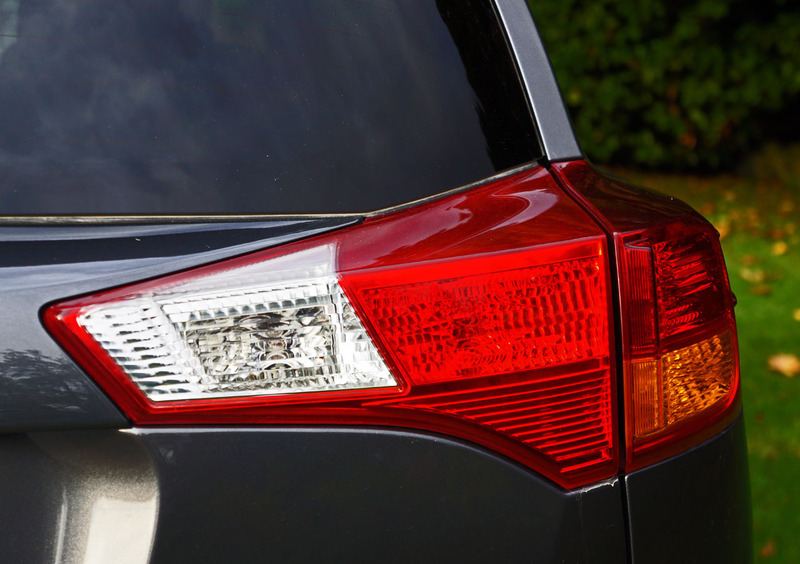 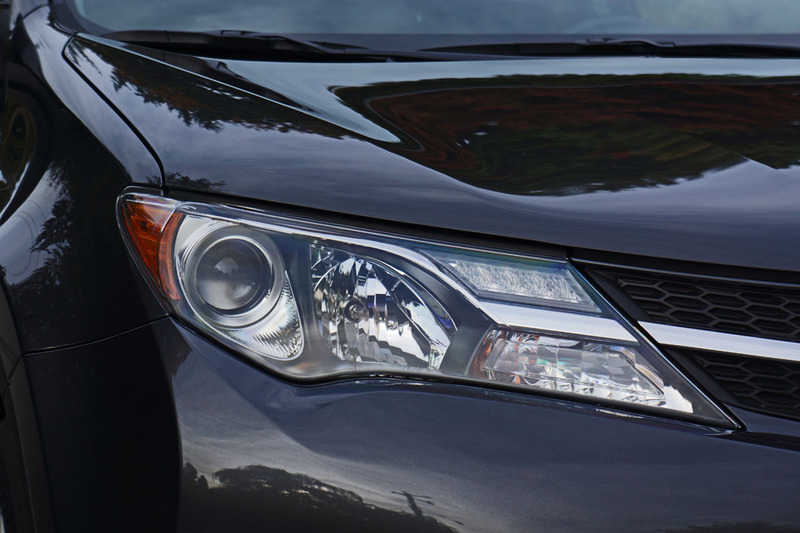 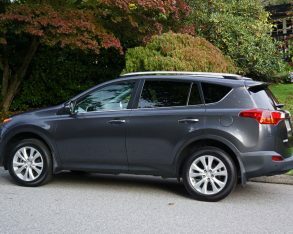 Does it sound more like a Lexus than an entry-level Toyota? 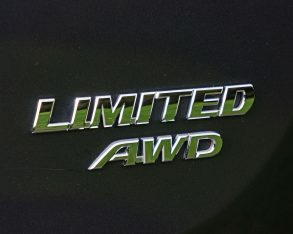 I thought so. 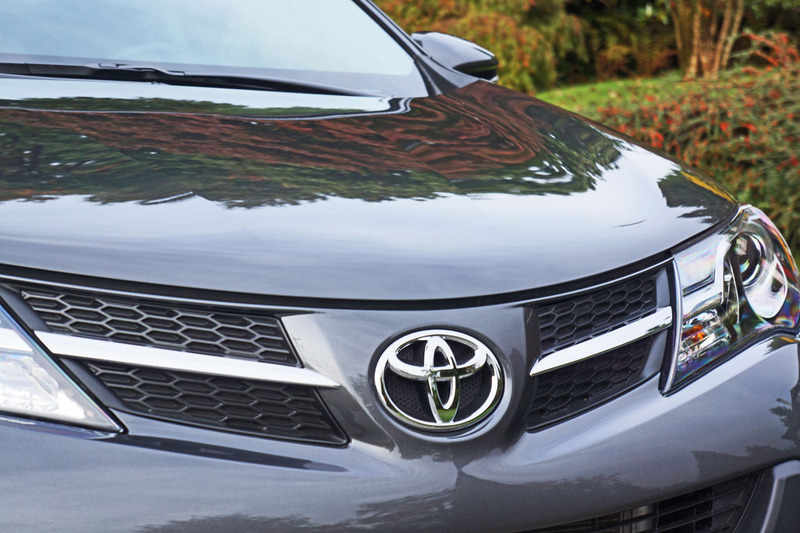 quite as exciting as its V6-powered third-generation predecessor or what we expect from the upcoming NX. 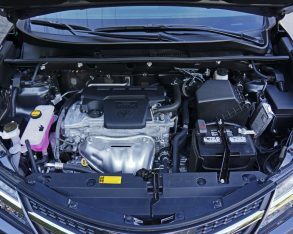 Fuel economy is commensurately better, however, with a claimed rating of 10.0 L/100km in the city, 7.6 on the highway and 8.9 combined for front-wheel drive models, 10.5 city, 8.2 highway and 9.5 for all-wheel drive optioned LE and XLE trims, or 10.7, 8.3 and 9.6 for the slightly heavier fully-loaded AWD Limited. 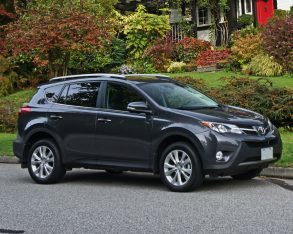 If these numbers don’t look as good as last year’s RAV4, take note that these ratings reflect Transport Canada’s new five-cycle testing process that’s much more stringent than the old two-cycle test, long criticized for being hopelessly unrealistic, so when comparing make sure to put this model up against a similar 2015 model year CUV, as it won’t look very good next to a 2014 model. 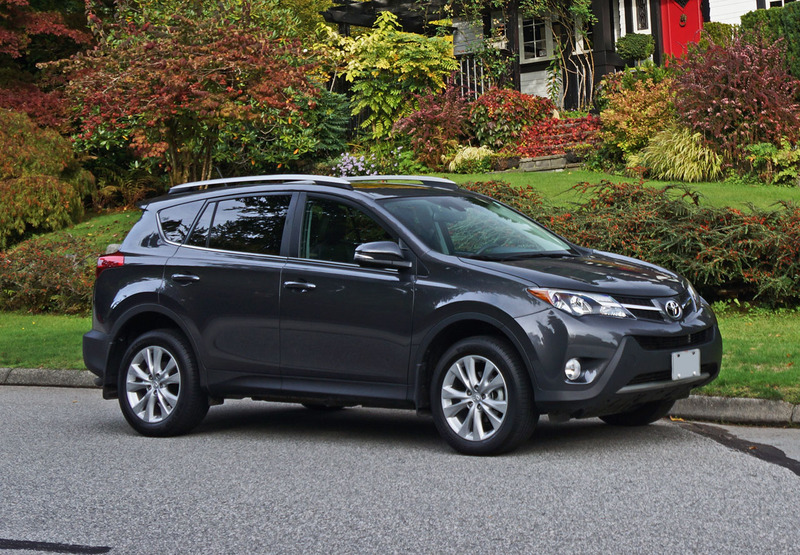 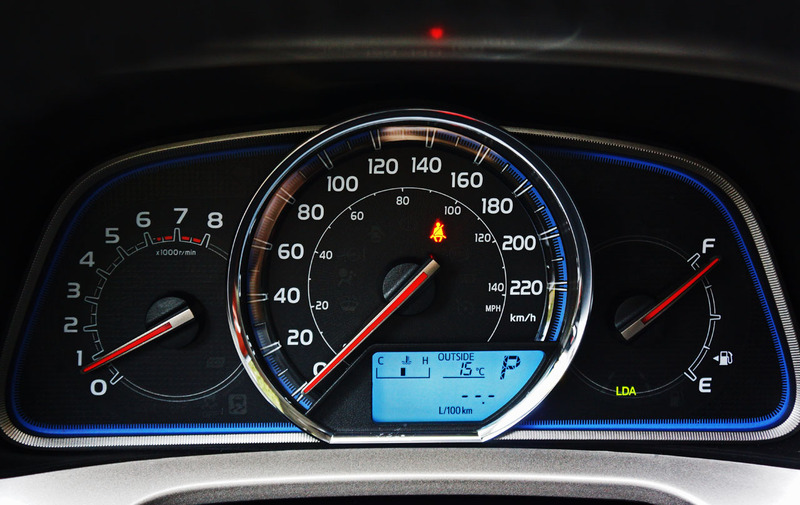 The fuel economy of both years is the same, of course, as both 2014 and 2015 RAV4s use identical powertrains. 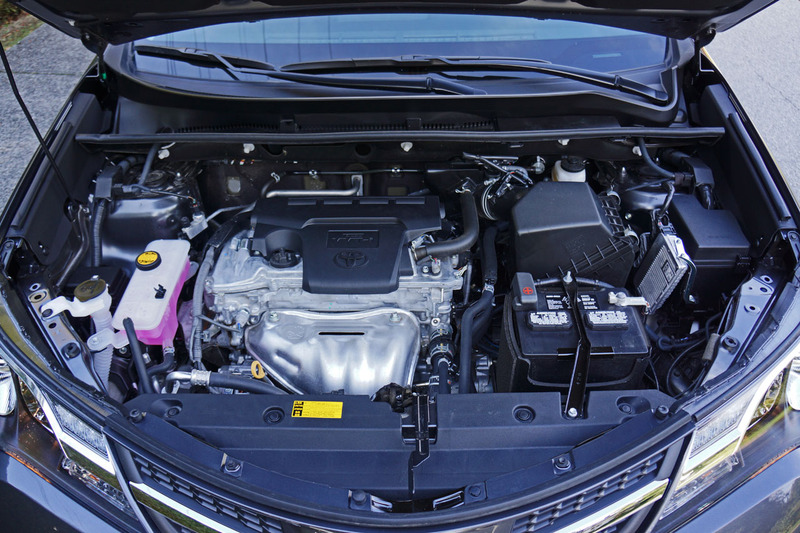 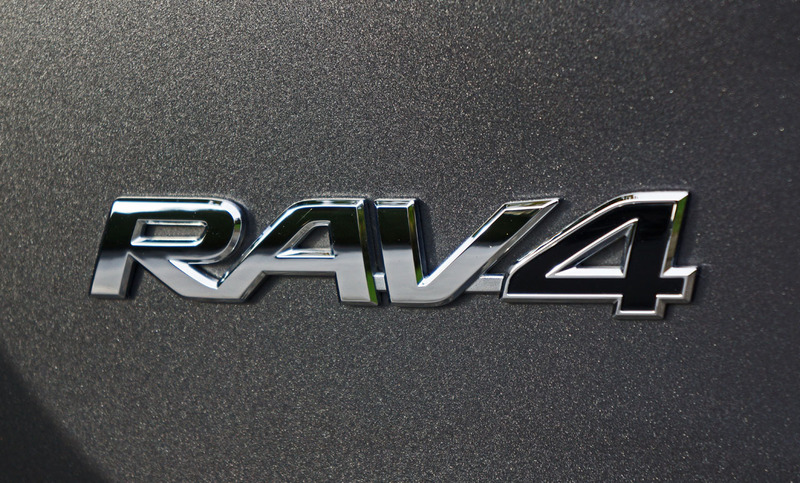 latest RAV4 continues forward with Toyota’s tried and tested 2.5-litre four-cylinder engine featuring dual variable valve timing with intelligence (VVT-i), resulting in 176 horsepower and 172 lb-ft of torque, plus a Tier 2 Bin 5 emissions rating. 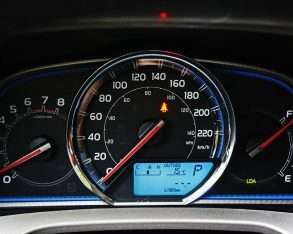 These last numbers mean it’s about as clean burning as anything without a hybrid drivetrain, while the former numbers translate into spirited performance off the line and excellent passing power on the highway. 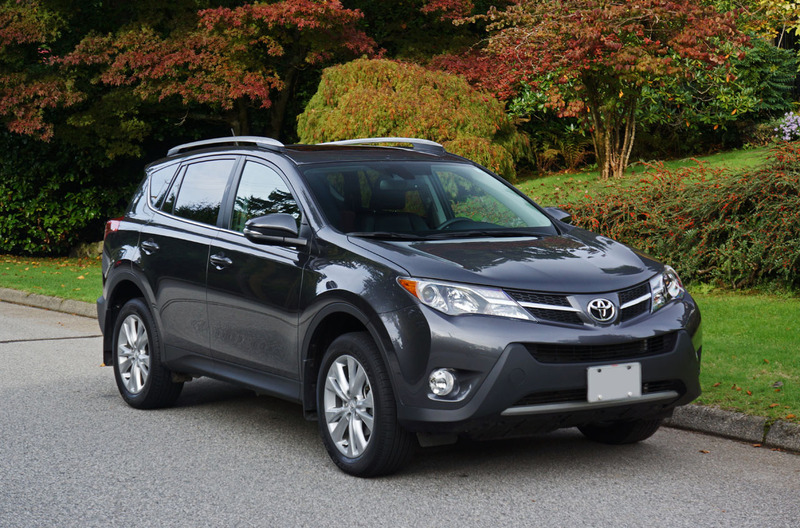 Even in its heaviest AWD Limited trim the RAV4 is a comparative SUV lightweight, weighing in at only 1,620 kilos (3,600 lbs), so its drivetrain doesn’t need to move much mass to gain momentum. 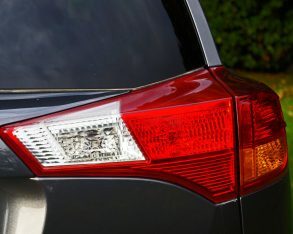 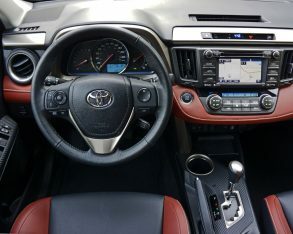 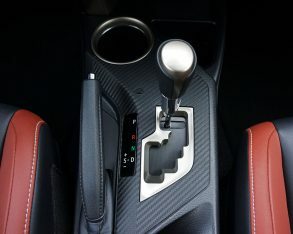 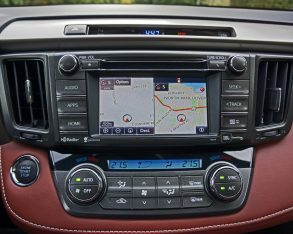 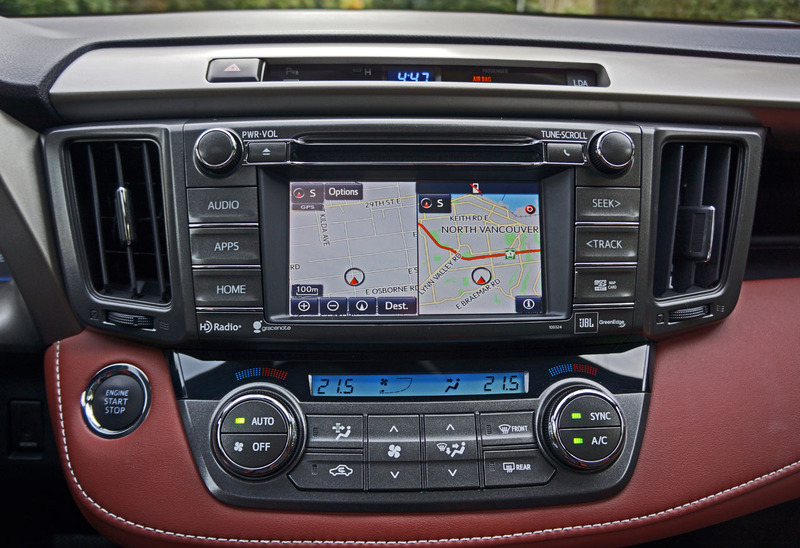 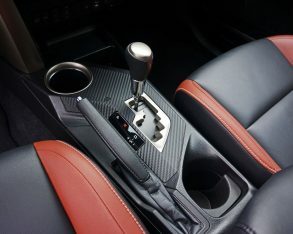 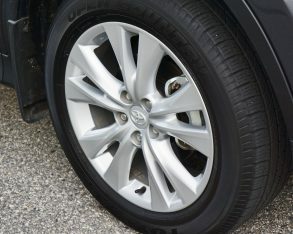 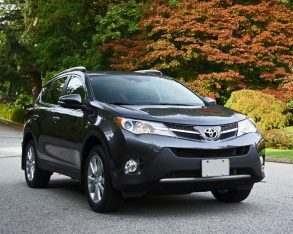 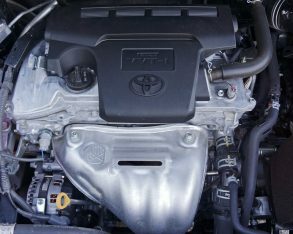 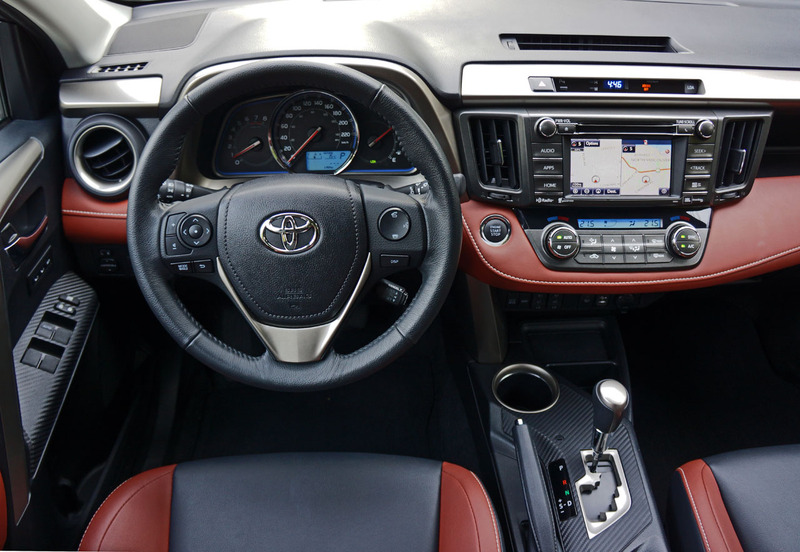 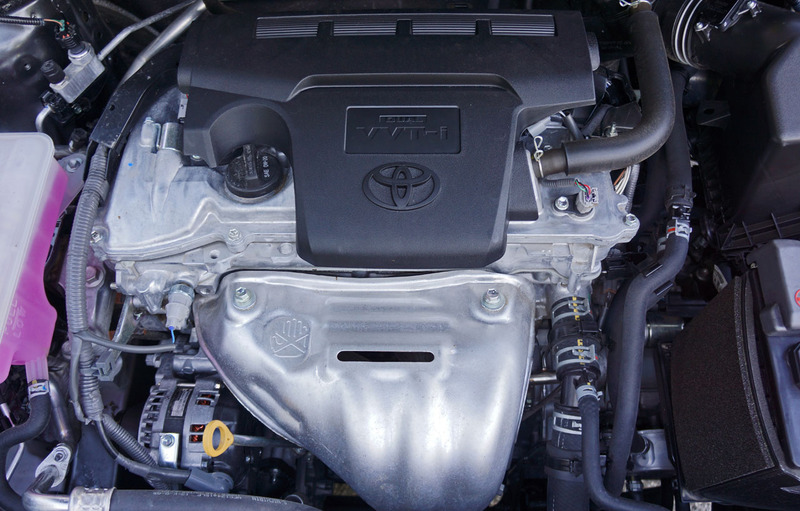 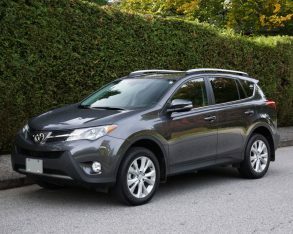 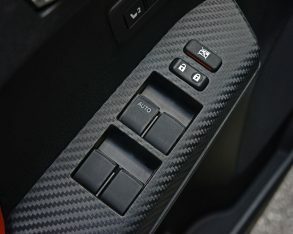 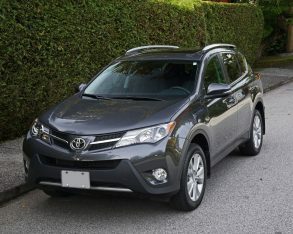 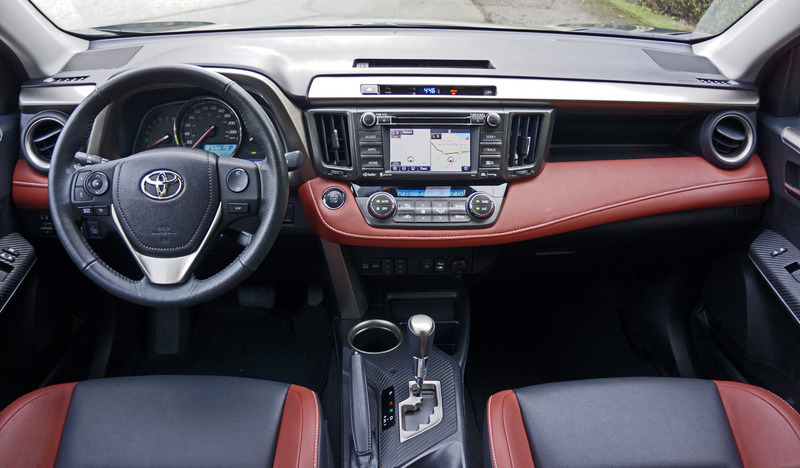 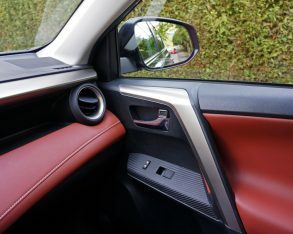 With the fourth-generation RAV, Toyota has mated the engine to a six-speed automatic transmission for quicker shift intervals and a taller final drive ratio (fifth and sixth are both overdrive gears) resulting in improved acceleration from first through fourth plus more comfortable, quieter and more efficient highway cruising, while there’s also a manual mode for those moments when you want more control. 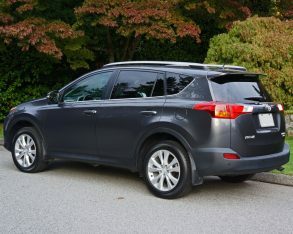 in mind, the RAV4’s all-wheel drive system might only cost a mere $2,274 when adding it to a base LE model or a flat $2,200 when including it with an XLE, but it’s hardly run of the mill tech. 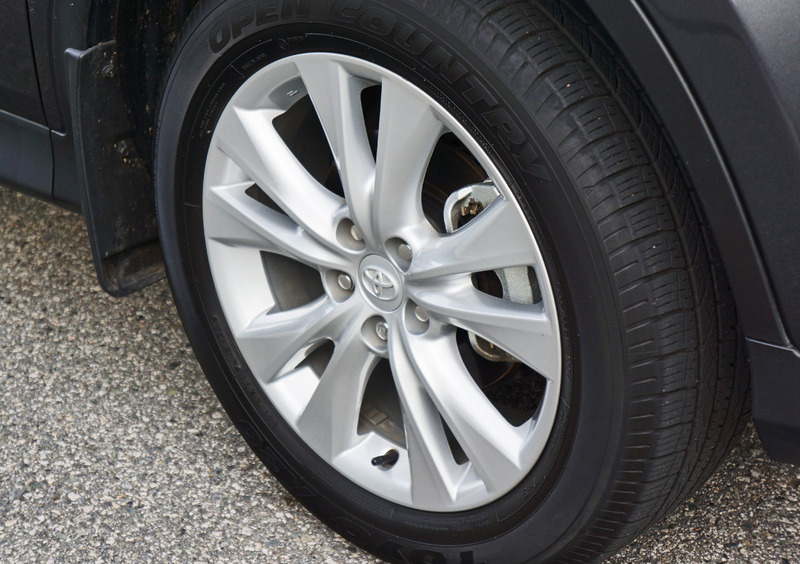 Featuring Dynamic Torque Control, the system not only saves you from poor road conditions but also improves on the fully independent suspension’s overall handling no matter the state of the surface under your tires. 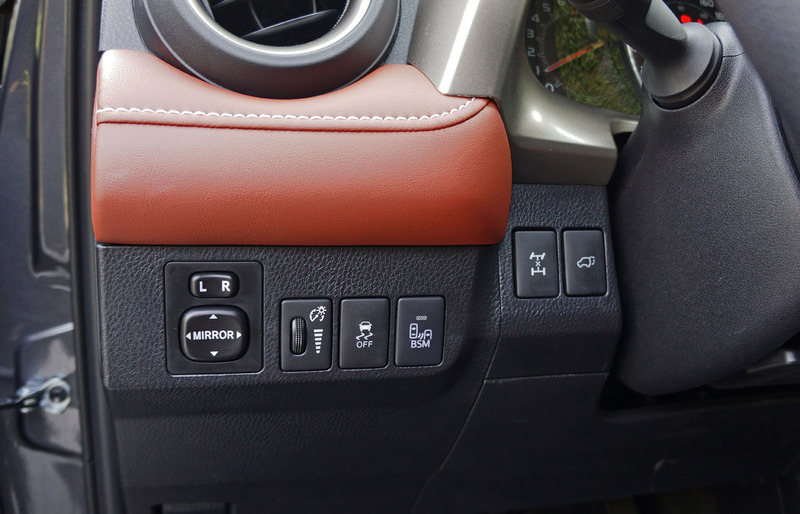 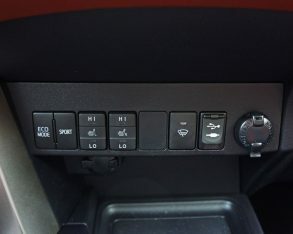 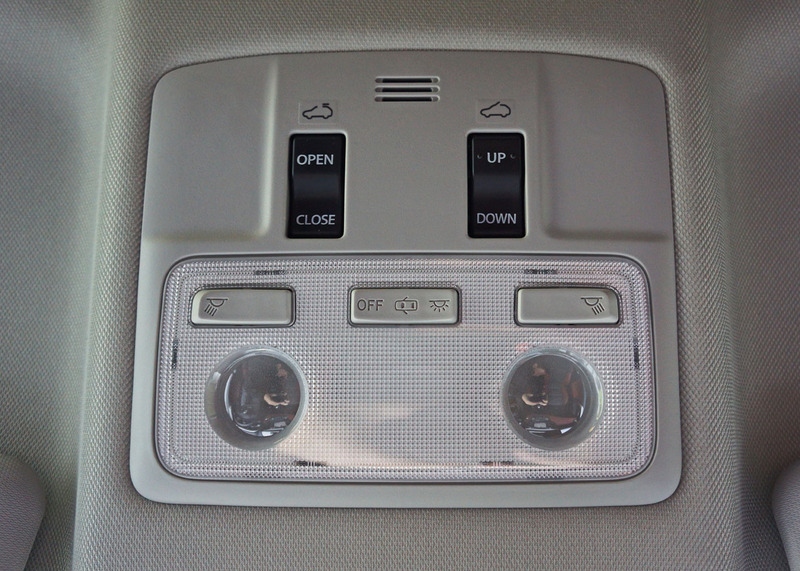 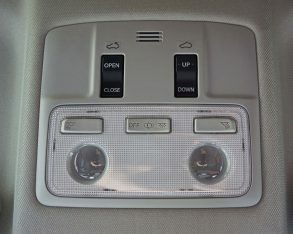 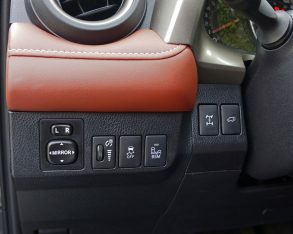 The system employs an electronically controlled coupling mounted ahead of the rear differential that apportions torque rearward when the coupling in back starts to slip, and while this is similar to how the old RAV4 sent torque back and forth between its axles, the new one transfers information at a much faster rate and also takes into account additional information sent by the engine, transaxle, and electronic power steering system, making it much smarter overall. 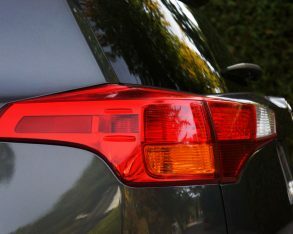 But wait, it gets brainier still. 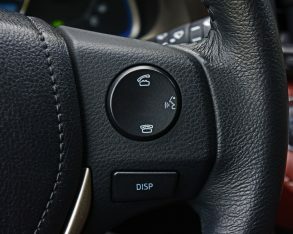 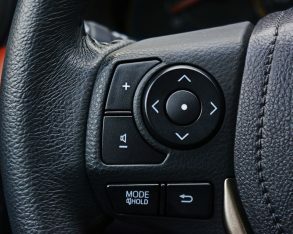 Sport mode presets the Dynamic Torque Control parameters for quicker response and yet better handling by transferring 10-percent of available twist to the rear as the RAV turns into a corner, and furthermore sends up to 50-percent of available torque to the back axle to help rotate the CUV through the corner while mitigating understeer (when the front end tries to break traction and push outward). 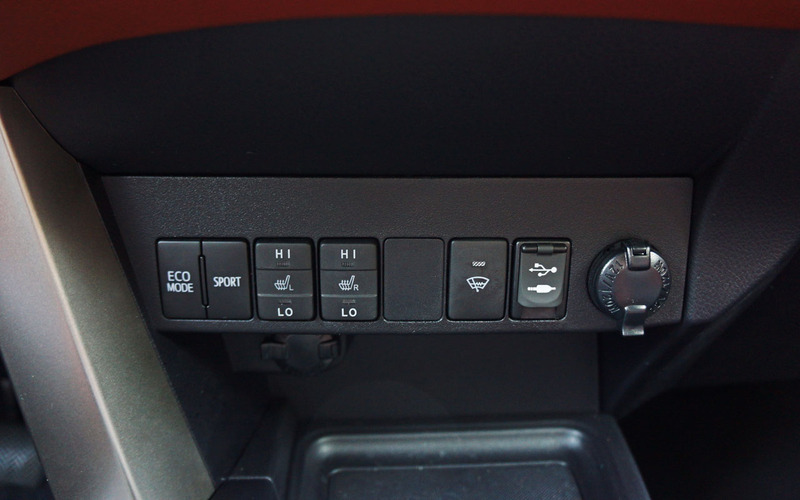 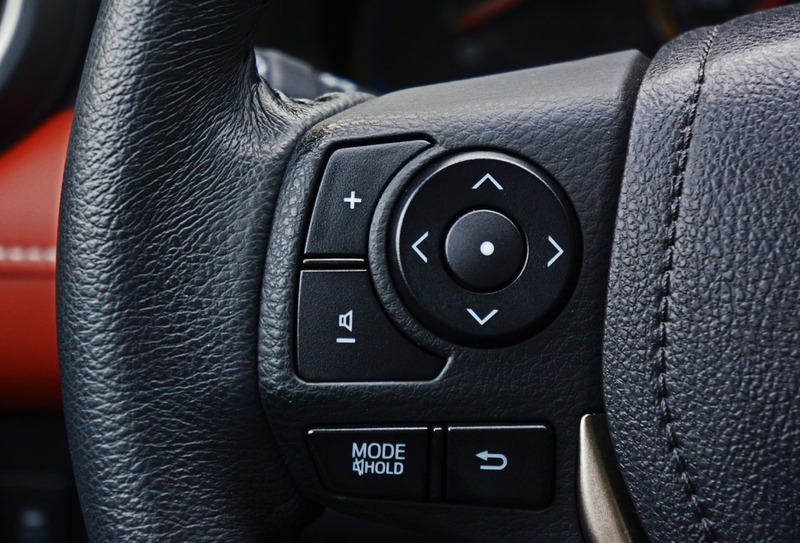 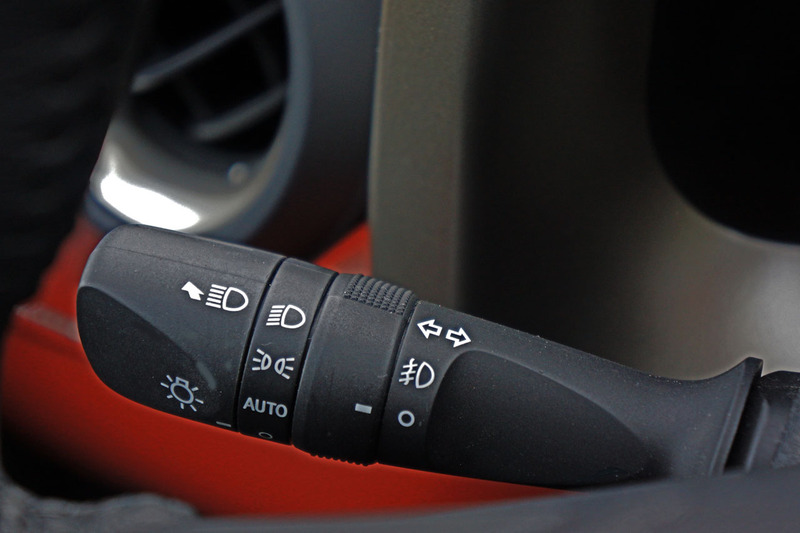 Sport mode also reduces steering assist, sharpens throttle response, and makes the stability control system a bit less intrusive. 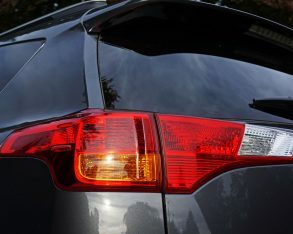 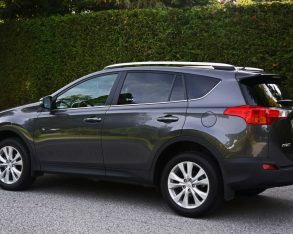 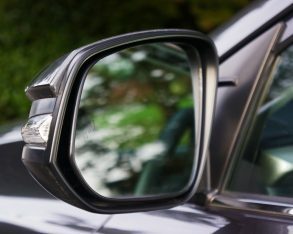 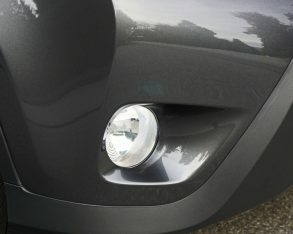 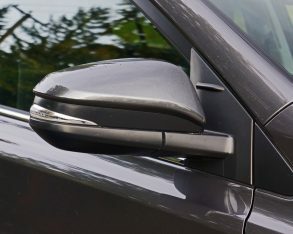 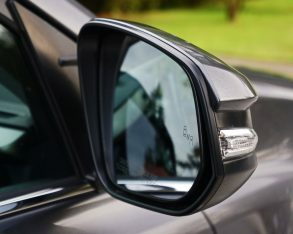 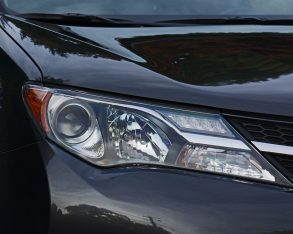 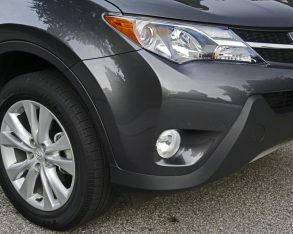 The result is a compact crossover that handles much better than its already agile front-drive counterpart, as well as many of its rivals, adding a new level of confidence to its driver whether enjoying a brisk-paced run over a mountainous two-lane road in the dry or tackling the same stretch of tarmac in rain or snow. 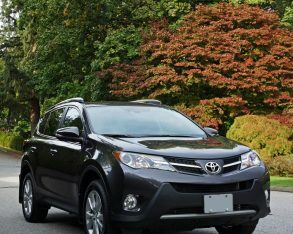 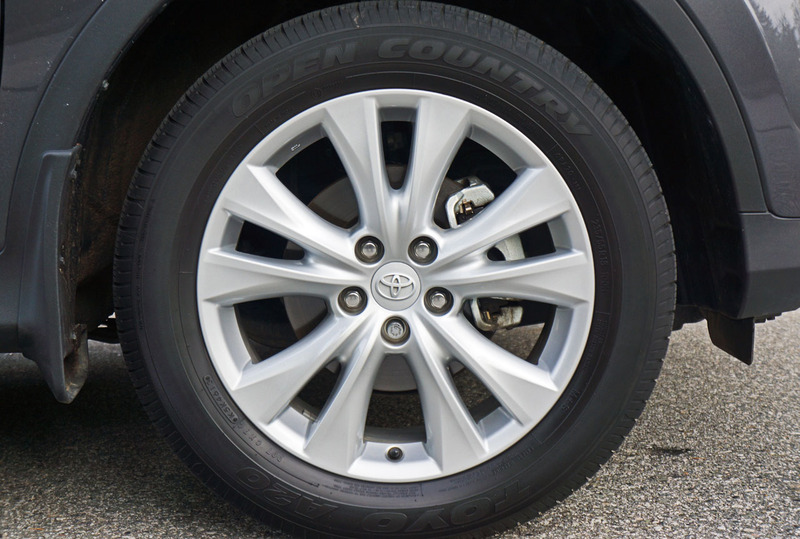 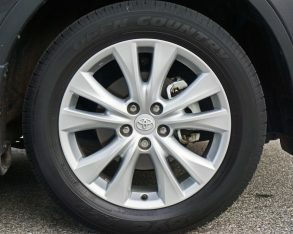 overcoming the white stuff or any other slippery surface Toyota also provides a four-wheel Lock mode that maintains a fixed 50/50 front/rear torque split, while the RAV4’s default Auto mode sends all the power up front to minimize fuel consumption until the back tires require more traction, at which point it will send up to 50-percent rearward. 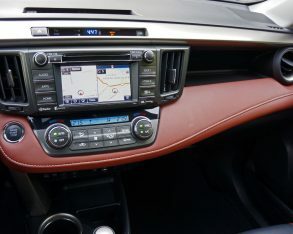 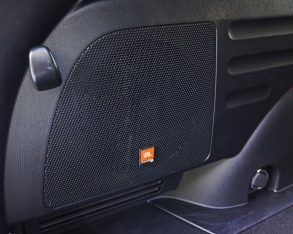 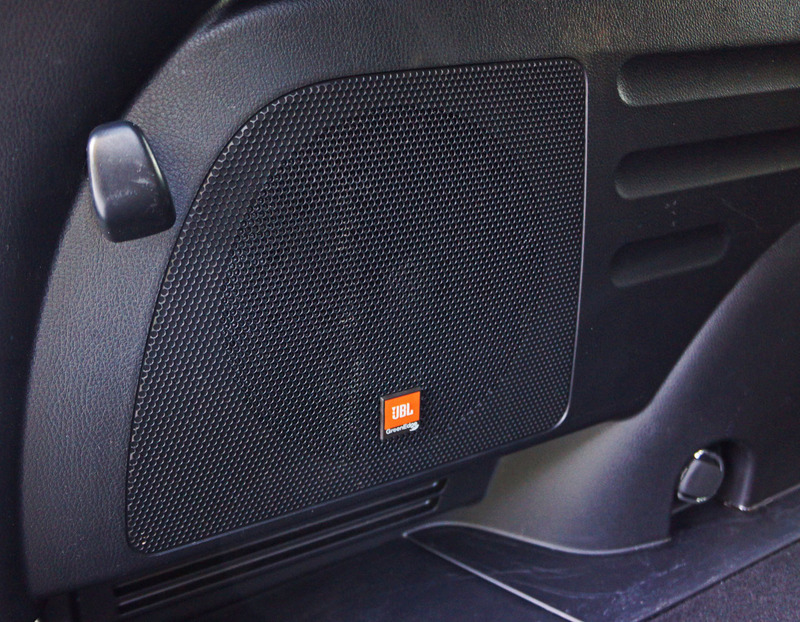 as expected Bluetooth streaming audio for easy connectivity of smartphone-sourced audio tracks, while all RAVs get the usual CD, aux and USB ports along with Bluetooth hands-free phone connectivity. 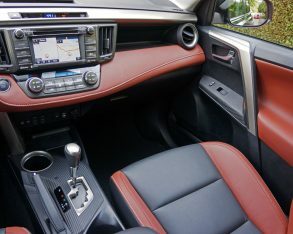 A quick rundown of standard LE features includes the usual powered accessories as well as power adjustable heated side mirrors with integrated turn signals, tilt and telescoping steering, air conditioning, cruise control, four-speaker AM/FM/CD audio with MP3/WMA capability, cloth upholstery, a fold-down centre armrest in the rear, 17-inch steel wheels with covers, and more. 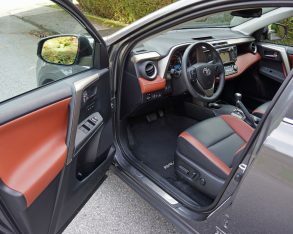 Standard safety gear also includes ABS-enhanced four-wheel disc brakes, traction and stability control, plus all the usual airbags including the somewhat unusual yet welcome addition of driver’s knee and front passenger seat cushion airbags for a total count of eight. 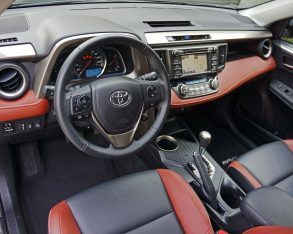 an LE upgrade package will get you heated front seats plus the 6.1-inch infotainment system sans navigation but including a reverse camera, voice recognition, and six-speaker audio. 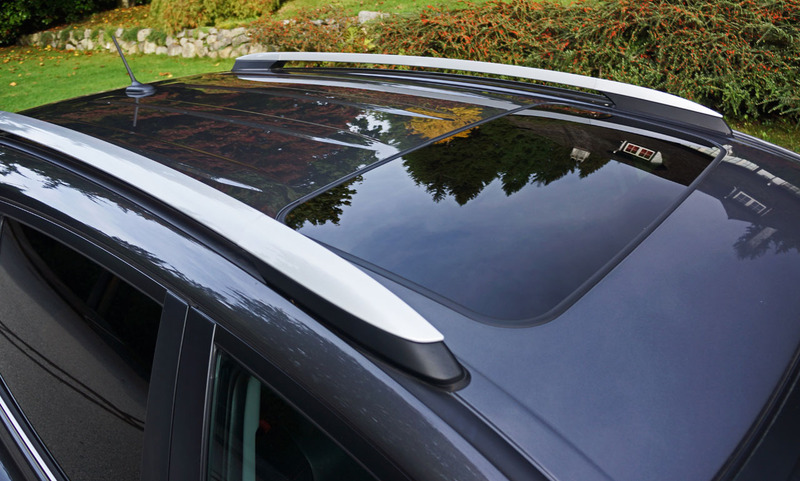 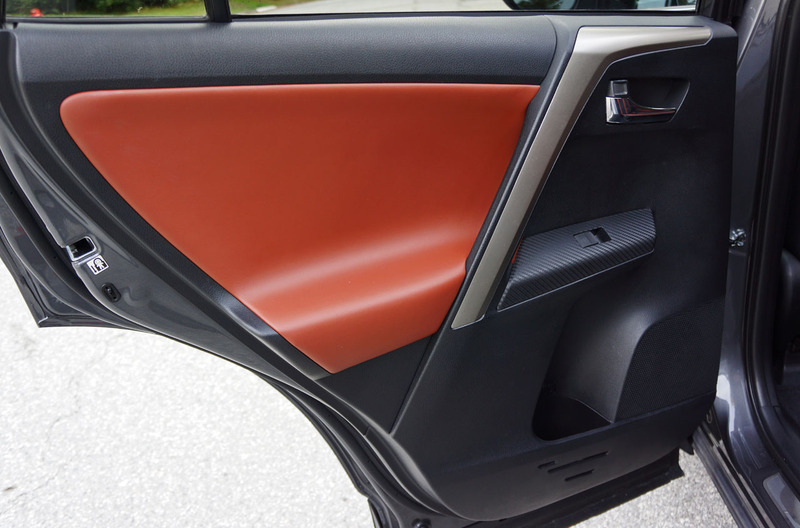 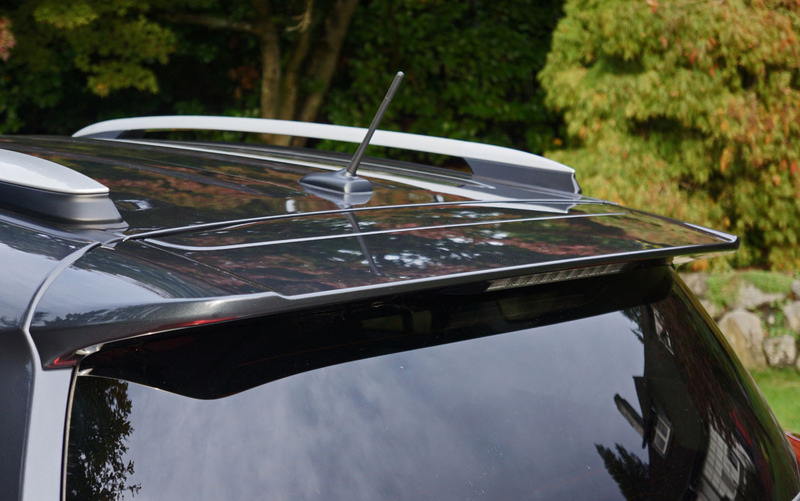 This package also includes rear privacy glass, a tonneau cover, and roof rails. 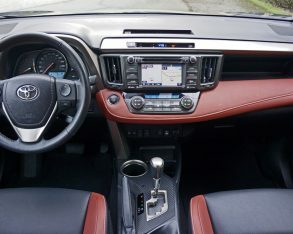 Move up to the XLE and all of the above comes standard, plus fog lamps, 17-inch alloy wheels, automatic headlamps, dual zone automatic climate control, variable intermittent wipers, satellite radio, chrome inner door handles, sport seats covered in premium fabric, scuff plates, and the soft-touch instrument panel with stitching that I went on ad infinitum before, while a navigation system can be added. 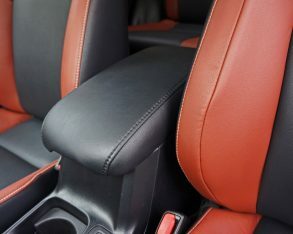 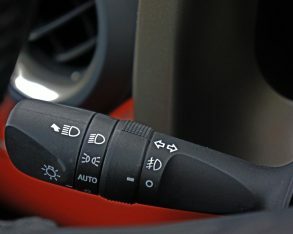 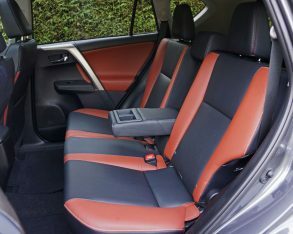 (unless replaced by something better) as well as 18-inch alloy wheels, proximity sensing smart key remote access and pushbutton ignition, a leather-wrapped steering wheel and shift knob, an auto-dimming rearview mirror, an eight-way powered driver’s seat with lumbar support, cushion height adjustment and memory, the previously noted SofTex leatherette upholstery, simulated leather door trim, a sliding front centre console box, an illuminated front cupholder, a powered rear liftgate, as well as a really robust tubular bar hanging cargo net system that can be moved and removed with ease. 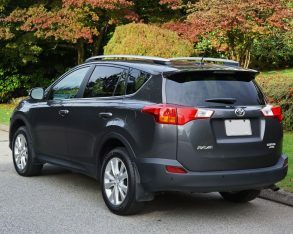 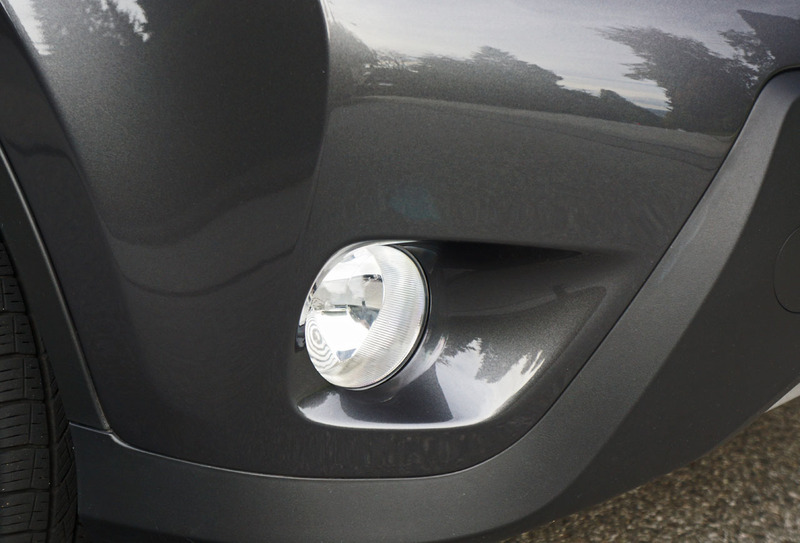 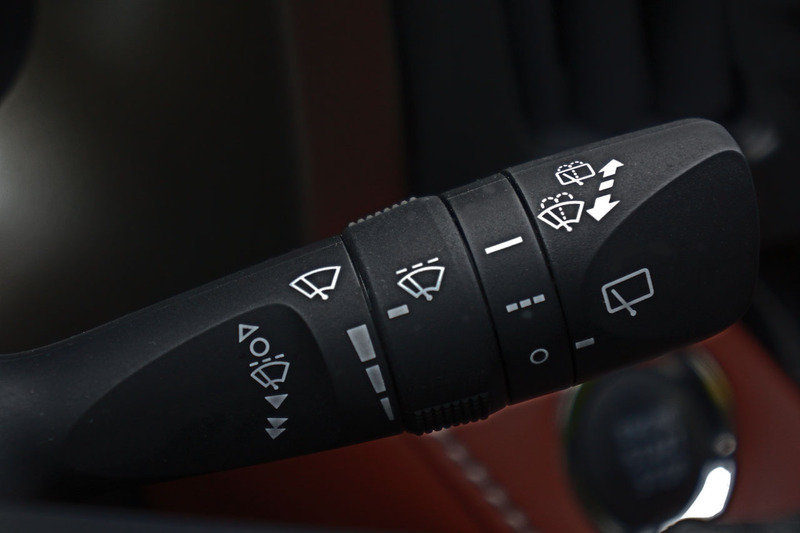 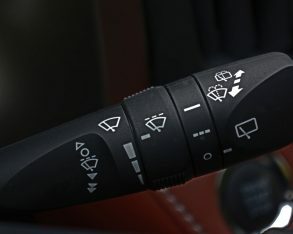 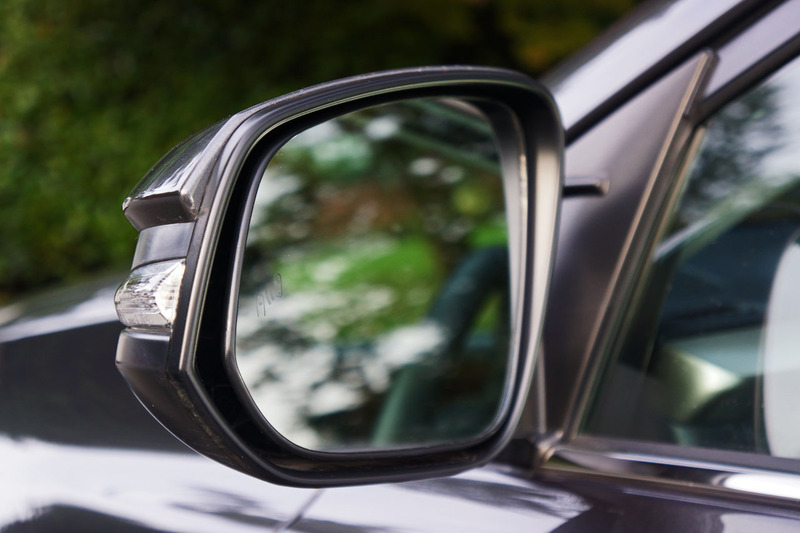 before, plus automatic high-beam assist, rear parking sonar, blind spot warning, lane departure alert, and rear cross traffic alert. 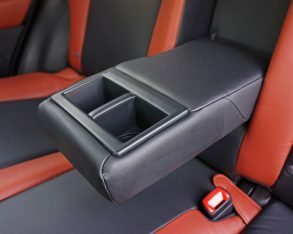 See what I mean by premium? 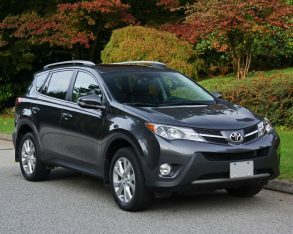 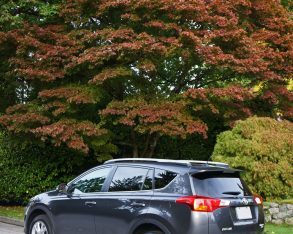 How far the RAV4 has come since it started out so long ago. 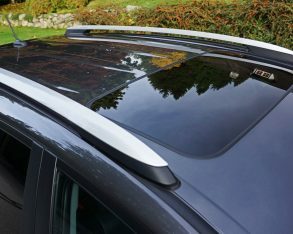 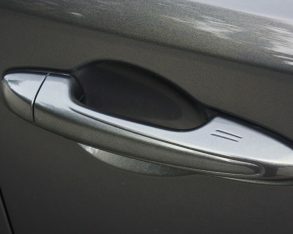 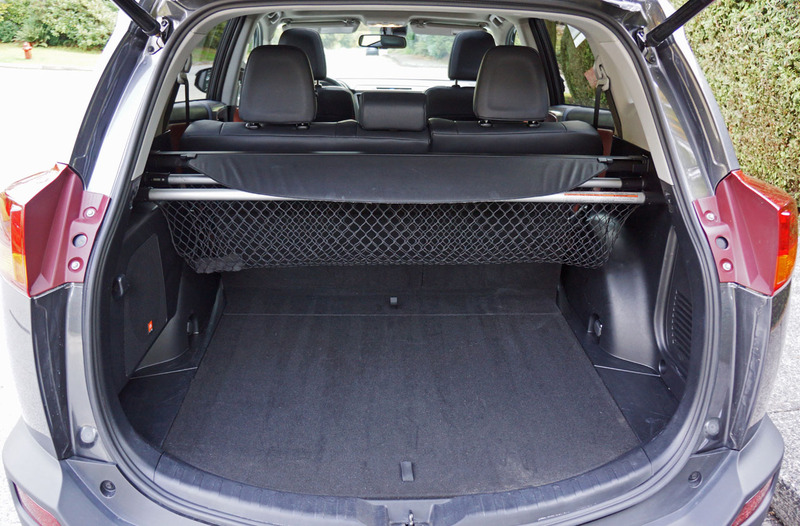 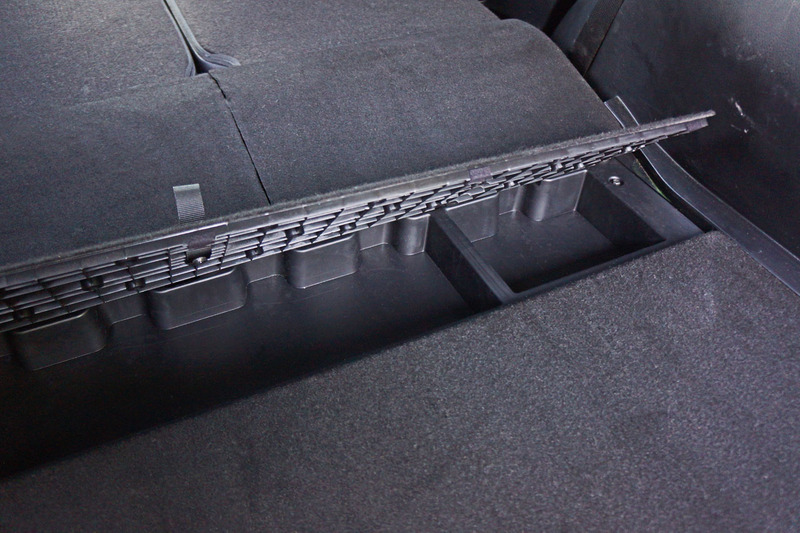 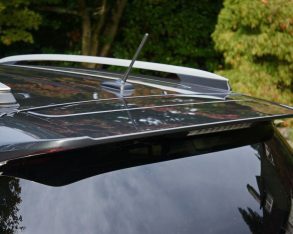 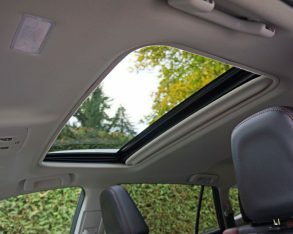 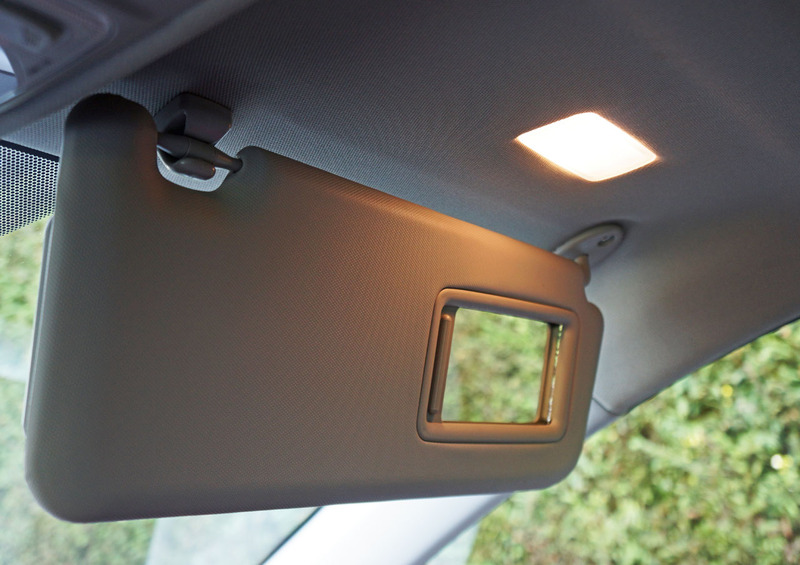 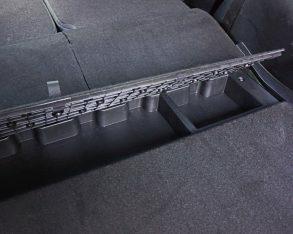 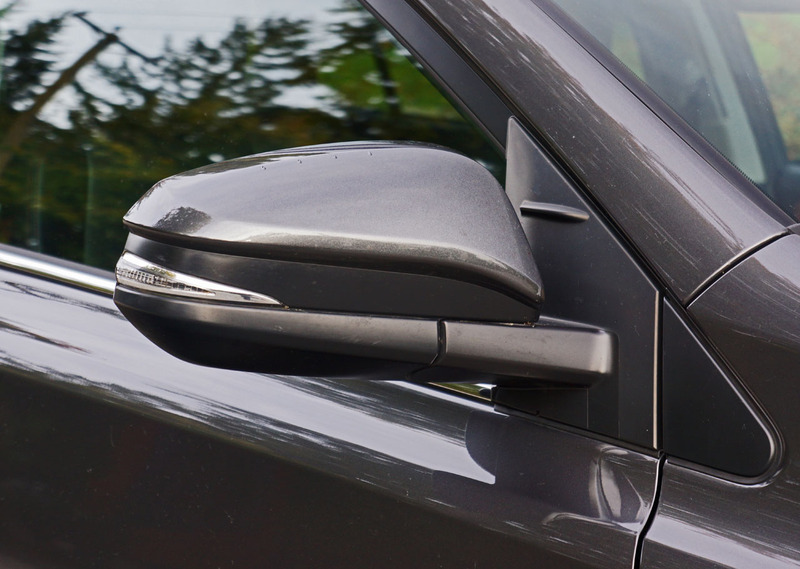 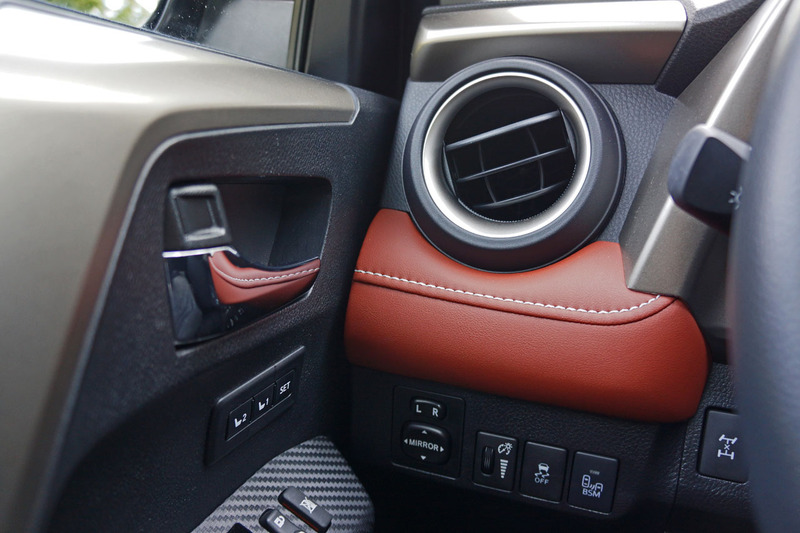 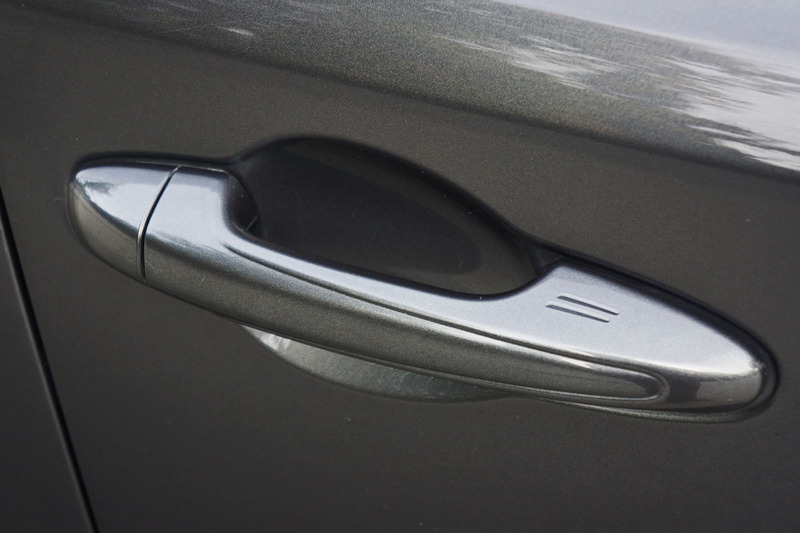 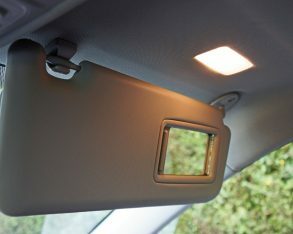 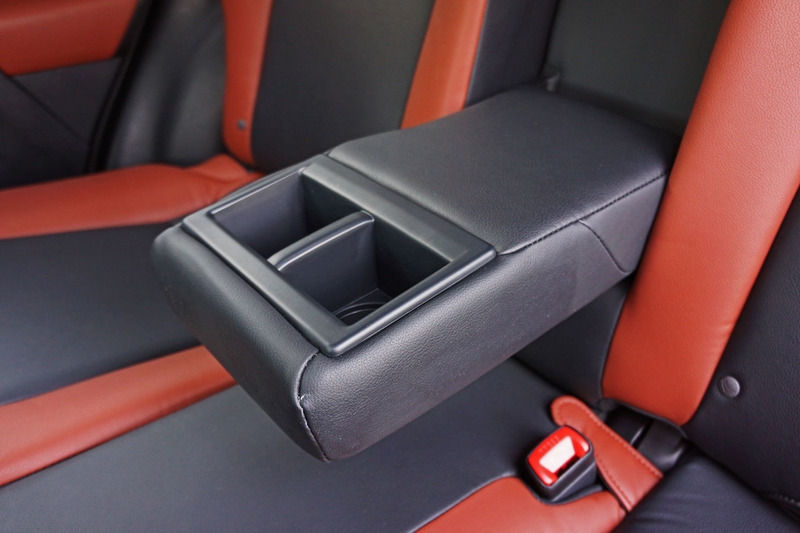 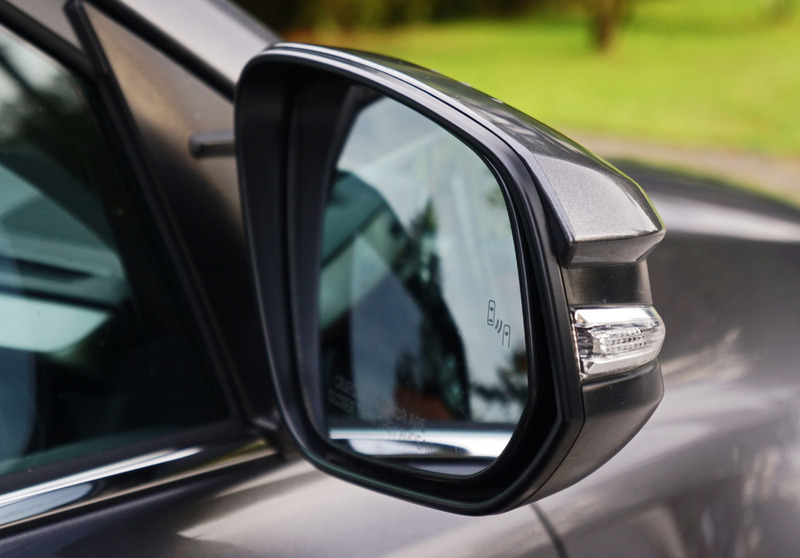 fall between the cracks, and behind that another lid covers a slim cargo hold for smaller valuables, although it didn’t lay entirely flat on the brand new model tested, something that will likely remedy itself over time. 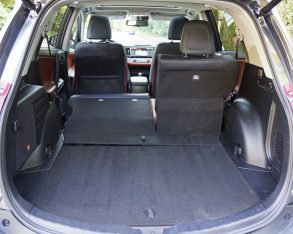 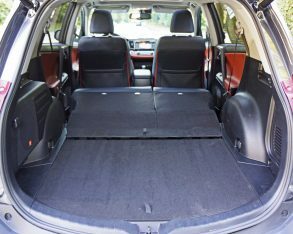 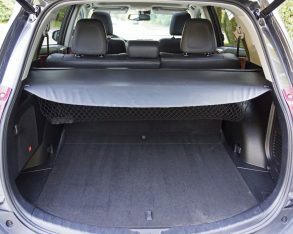 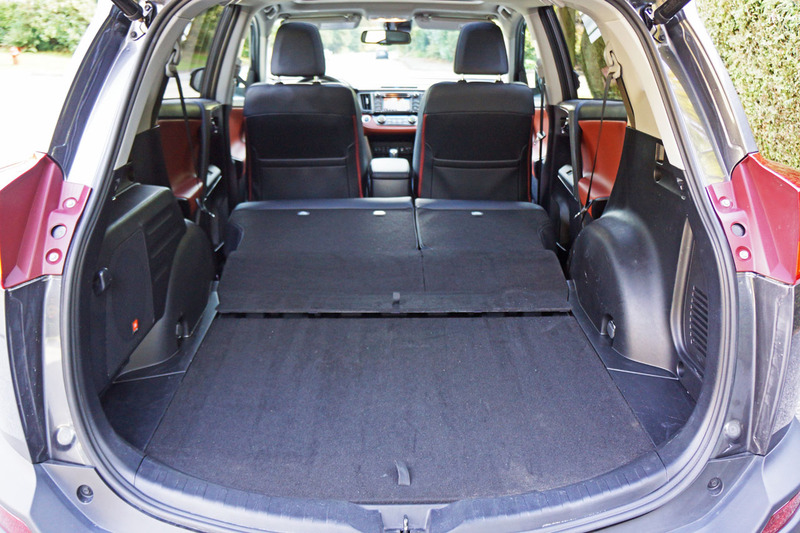 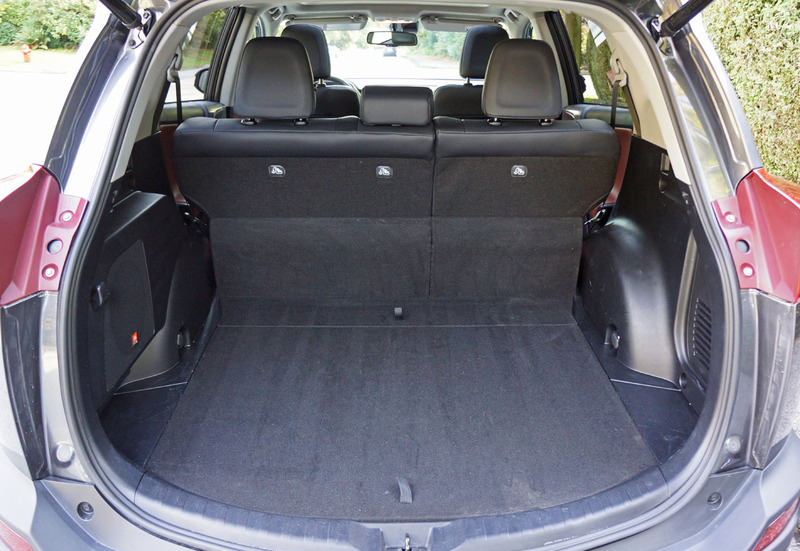 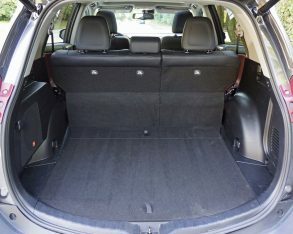 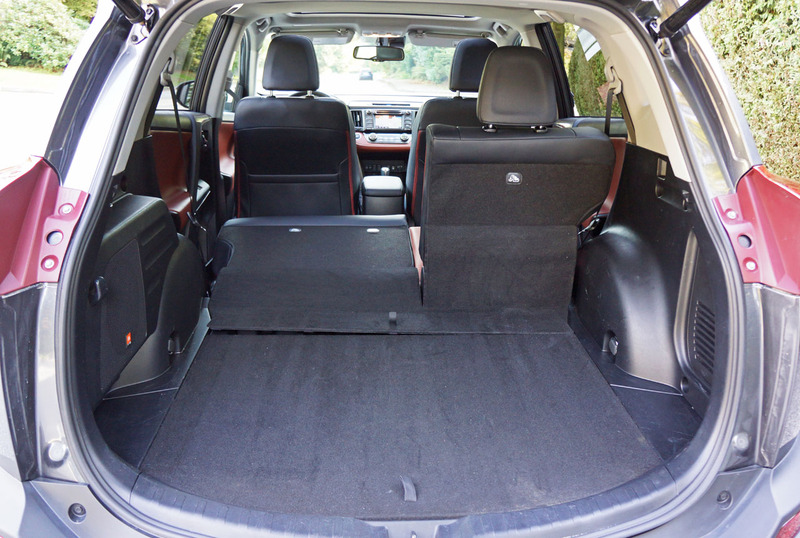 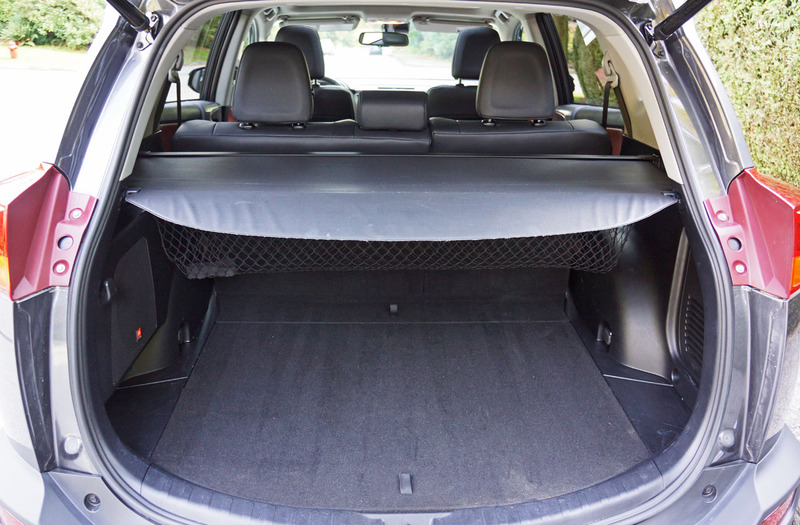 Altogether the RAV4 is capable of hauling a sizable 1,090 litres behind its rear seatbacks, or 2,080 litres when they’re tumbled forward. 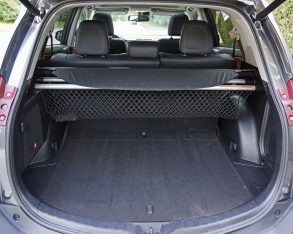 If you’re planning to tow something behind, note that the RAV is capable of the class-norm 680 kilos (1,500 lbs) of trailer weight. 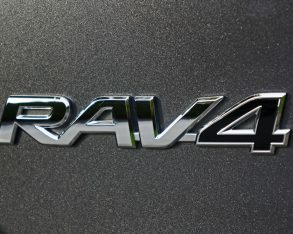 I’m going to go out on a limb and guess that most RAV owners don’t spend a lot of time with a trailer in tow, but rather use the little ute to run back and forth from work, trek to and from the kids’ schools, grocery store, shopping malls, and for other errand runs, plus weekend getaways. 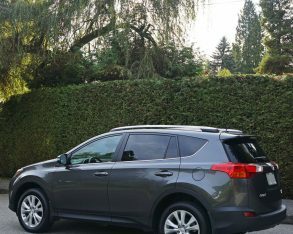 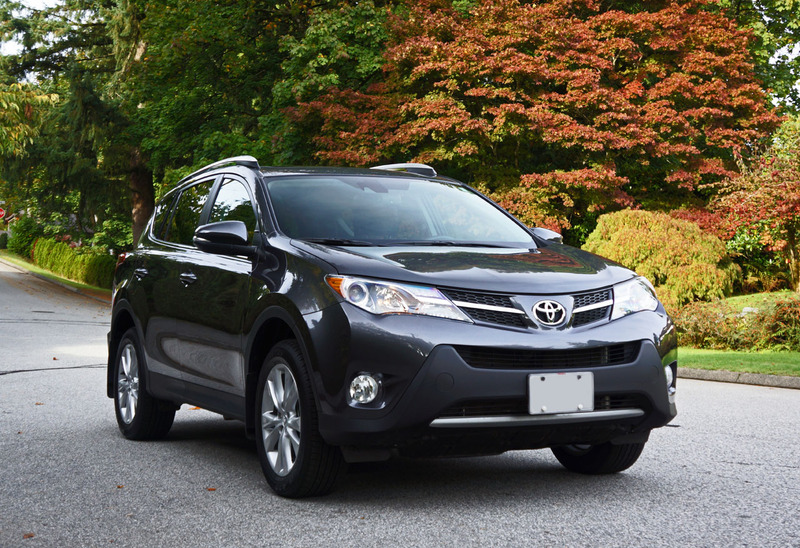 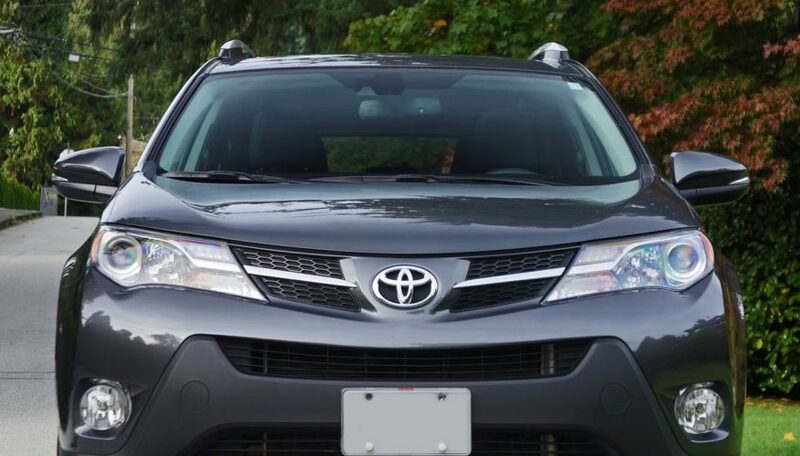 The 2015 RAV4 continues forward as an ideal do-all companion for growing families, empty nesters with grandkids, or just about anyone who wants a comfortable, well-built, reliable, feature-filled, fun to drive yet fuel-efficient family carrier. 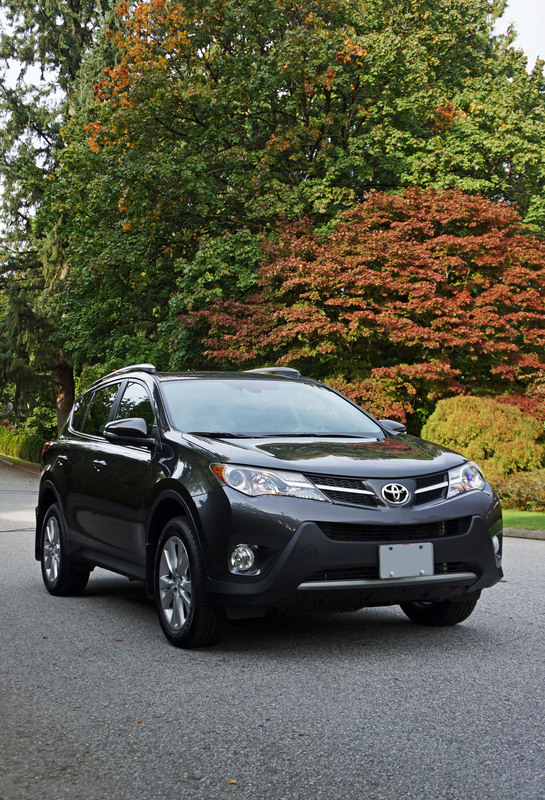 You really can’t go wrong with this SUV.